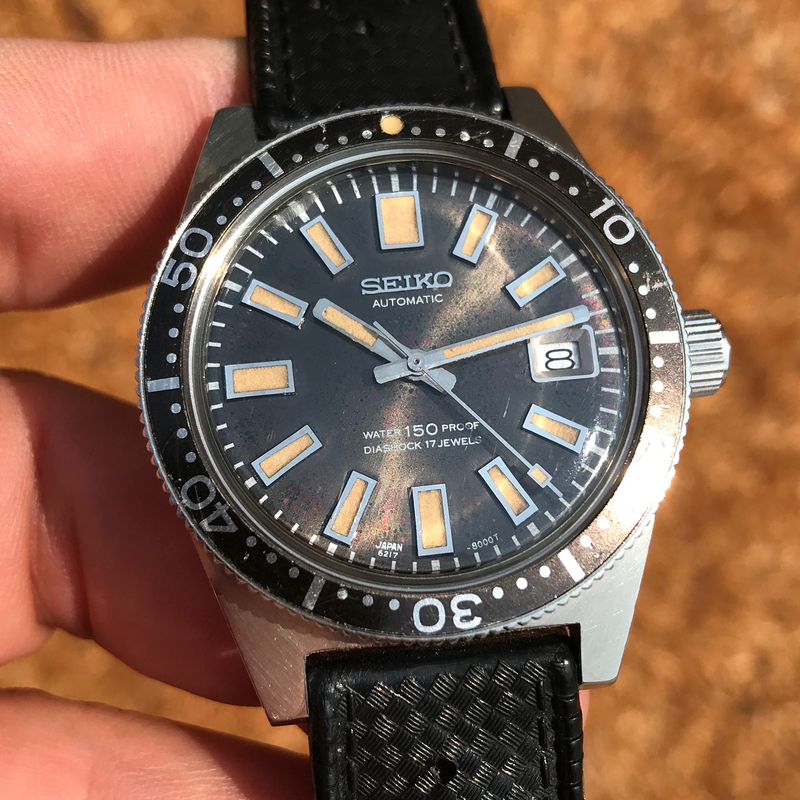 A comprehensive article on the secrets of Seiko's first pro diver's watch. The 62MAS. One of the most emblematic watches in Seiko history but also a favorite for all the lovers and collectors of the brand. Its full name is 62MAS-010. 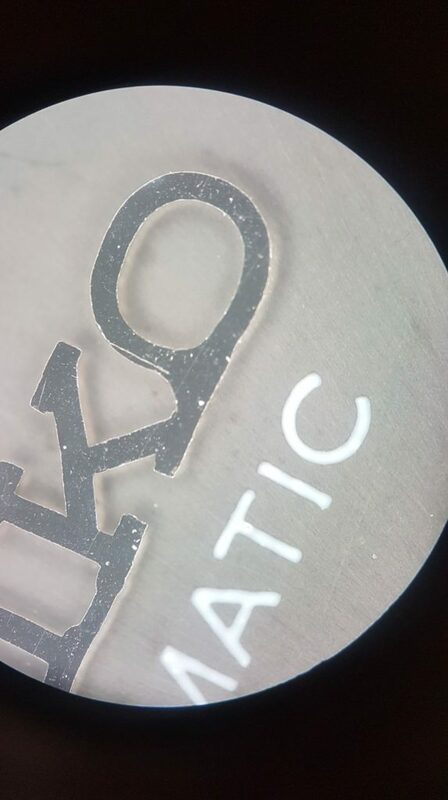 The letter MAS come from seikoMAtic Selfdater. 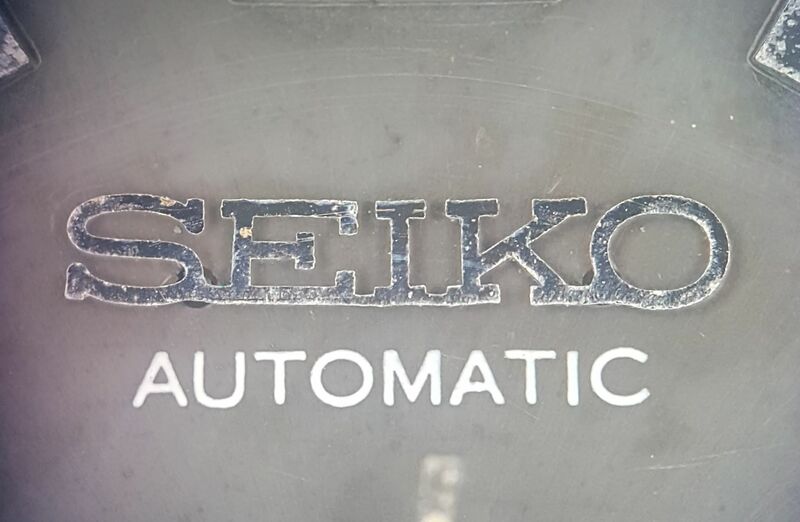 The cal.62 found underneath the dial was found in a whole range of automatic watches called the Seikomatic. This is an important movement for Seiko as it has been offered in Chronometer grade with the Seikomatic Chronometer that eventually became the 62GS, the very first automatic Grand Seiko. If you know a little bit about the 62MAS, then you probably already know it’s equiped with the 6217A caliber. 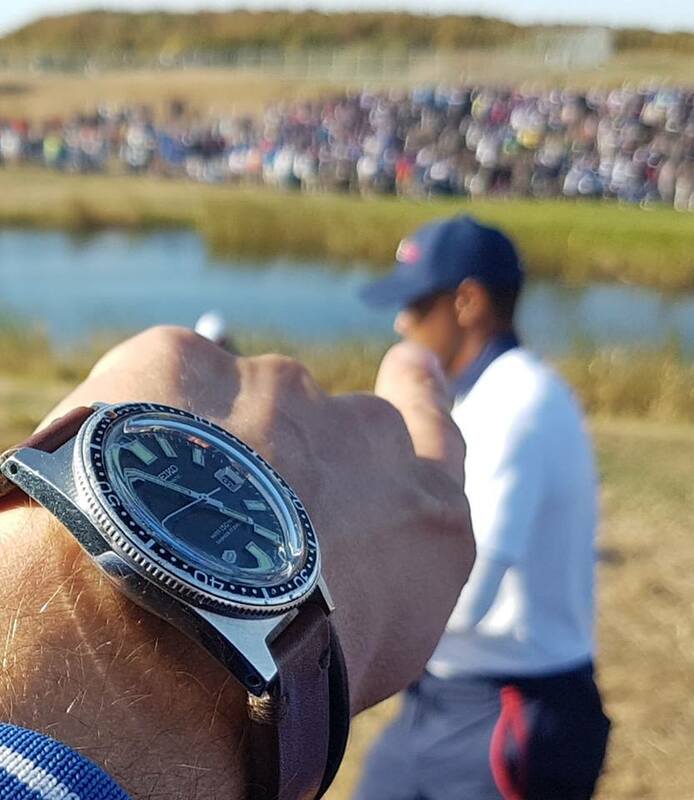 The funny thing is that this movement was first found in the Worldtimer Seiko released for the 1964 Olympics, a GMT watch ! 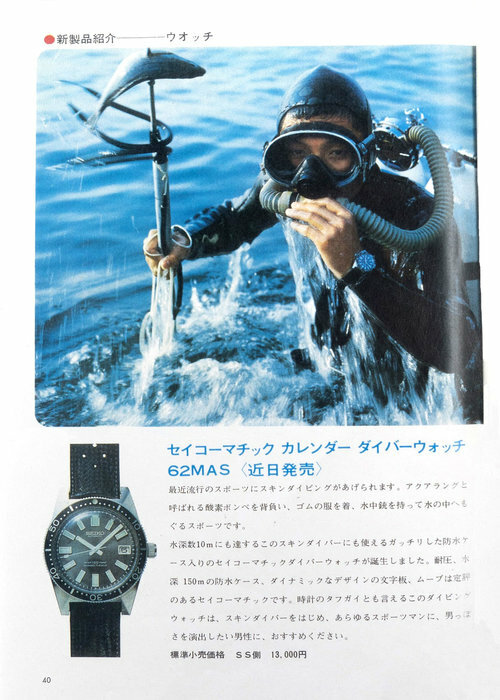 Even though there’s a few hypothesis out there about why Seiko put a GMT movement in this diver, we still have no official source on this matter ! Eventually, a simplified version of this movement with only the date complication will be released in 1967 with the 6215-7000. On another topic, it’s interesting to note that the 62MAS was released in 1965, the same year Rolex released the first Submariner Date reference 1680 with its 1575 caliber. 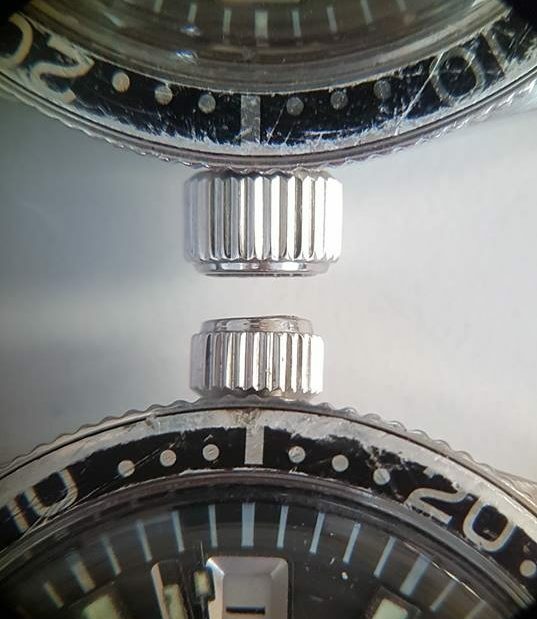 Though Rolex waterproofness surpassed the 62MAS by 50 meters, they both lacked manual winding and hacking (added to the Rolex at the beginning of the 70s) but the 62MAS had a quickset date that the Rolex lacked (giving it the Selfdater suffix). On the movement side, Seiko definitely made a very nice watch for its time (even though it was «only» 17 jewels and was unadjusted). 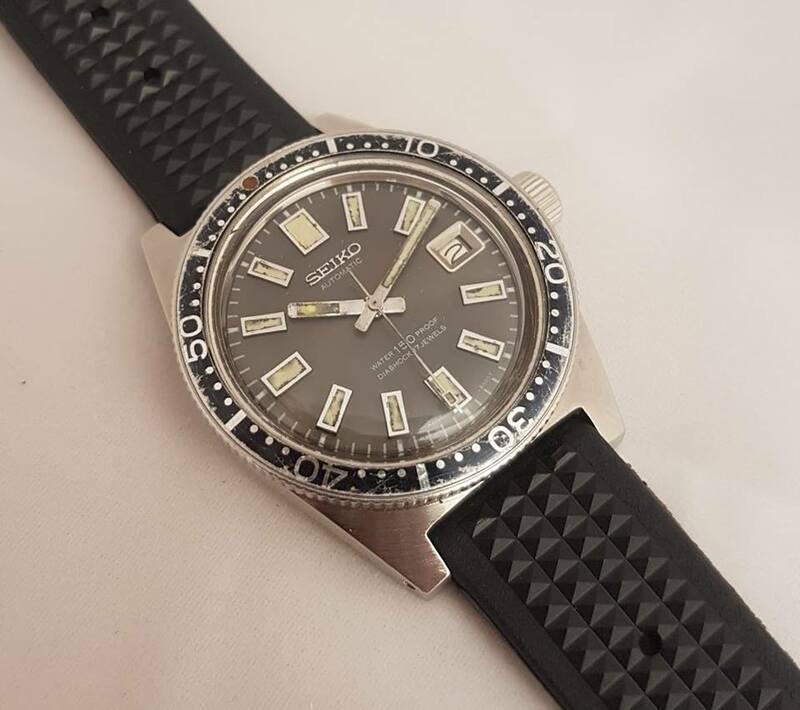 But this watch also has an impressive pedigree, as it’s Seiko’s first professional diver’s watch, released after Seiko had a try at a few «water activity» watches like the Blue Yacht or the famous SilverWave J12082 and 69799. 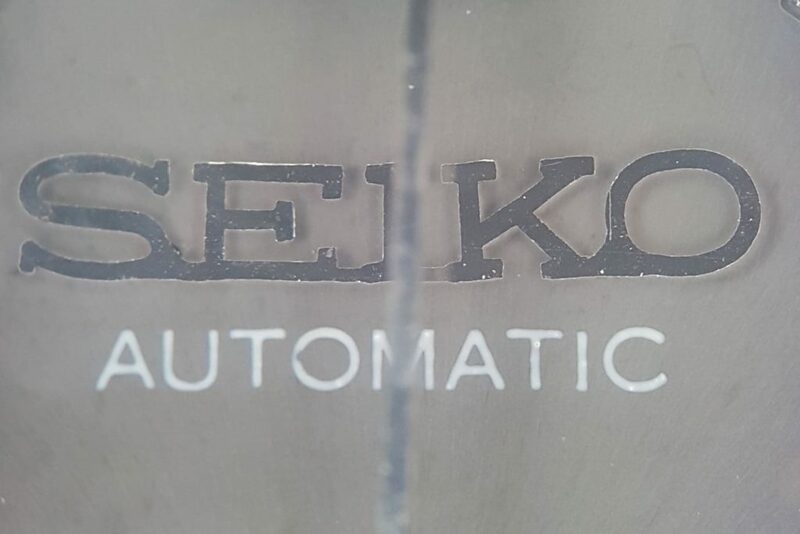 But here, Seiko took a big leap, producing a 150m waterproof watch with a double sealed crown, rotating bezel, large luminous indexes and hands and a robust case. 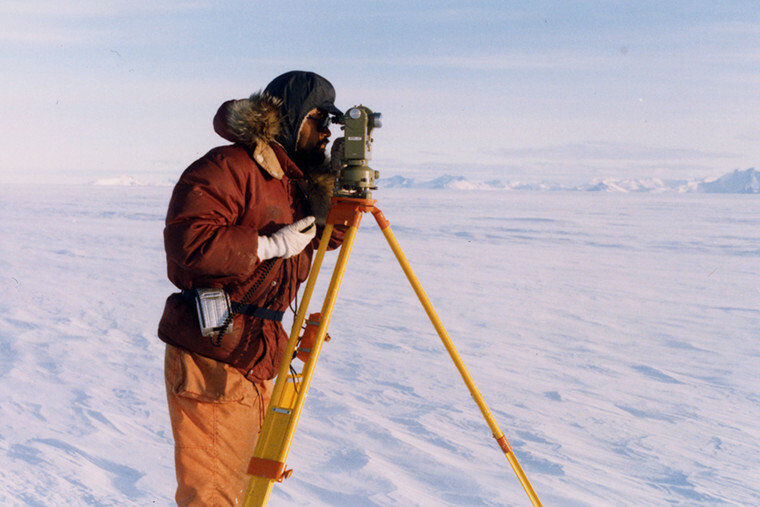 It explains why his adventure-bound watch was chosen by the Japanese Antartctic Research Exploration team from 1966 to 1969 as their tool-watch ! 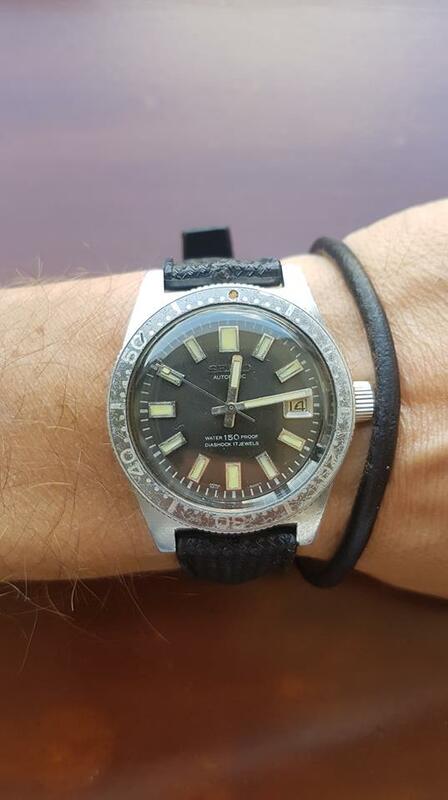 This watch equipped a lot of pro divers and adventurers in the second half of the 60s. 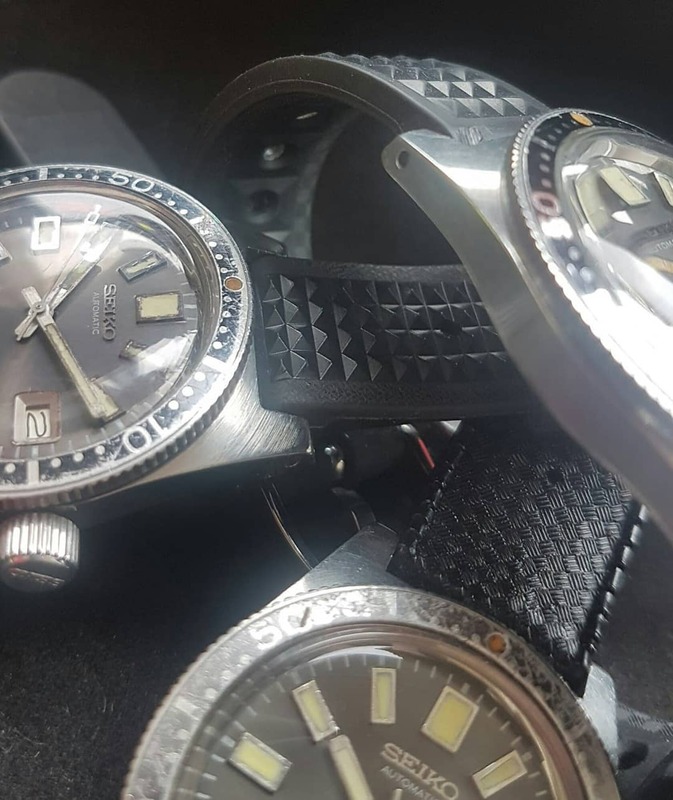 Seiko did very well with their first diver’s watch, a watch that definitely deserves every bit of appreciation the Seiko community has for it today ! As you probably know by now if you’ve been following us, we really love the 62MAS here at Ikigai Watches. 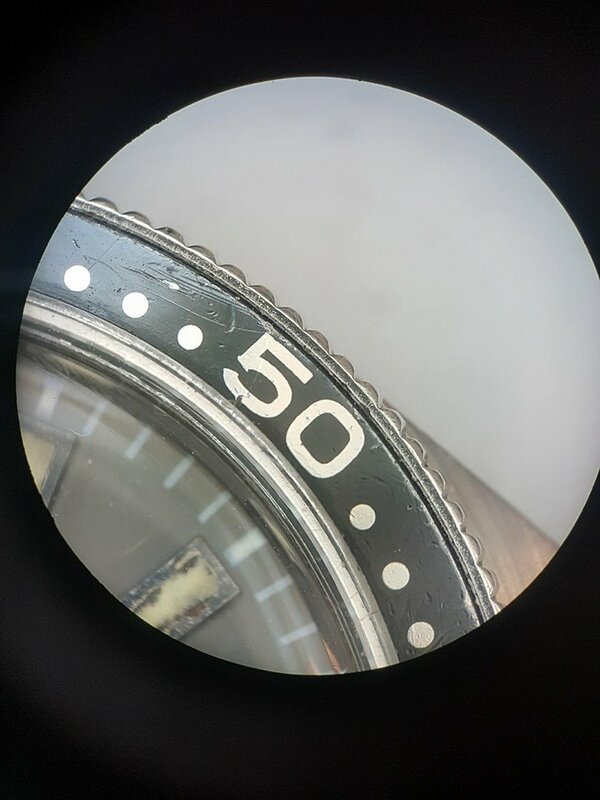 This is why we decided to gather up all the information we could find online about this awesome watch, do a bit of research on our side and come with zhat we believe to be the most comprehensive guide to the secrets of the 62MAS ! 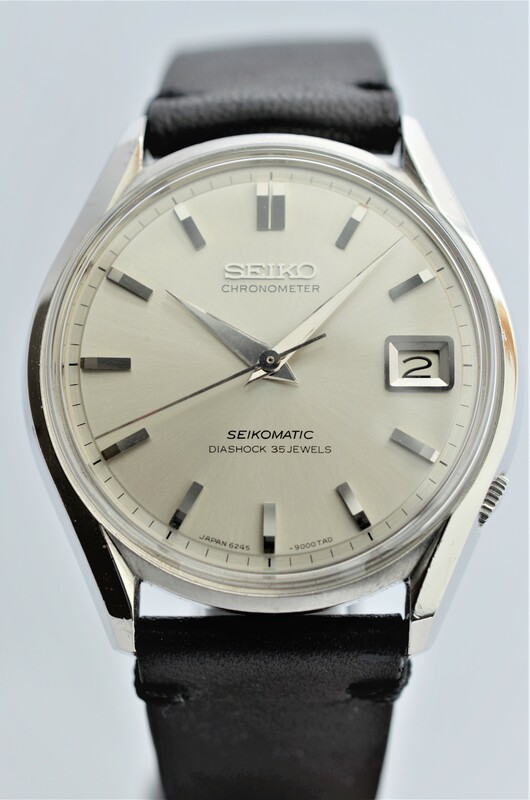 As we already said, the 62MAS was released in 1965 under the commercial reference 62MAS-010, but it’s better known under the classical Seiko reference 6217-8000 (the first 4 digits for the movement, the 4 others for the case number). It was originally made by Suwa but we will come back later on this point. This reference 8000 is also called «Small Crown» because of…well you guess it, the size of its crown. 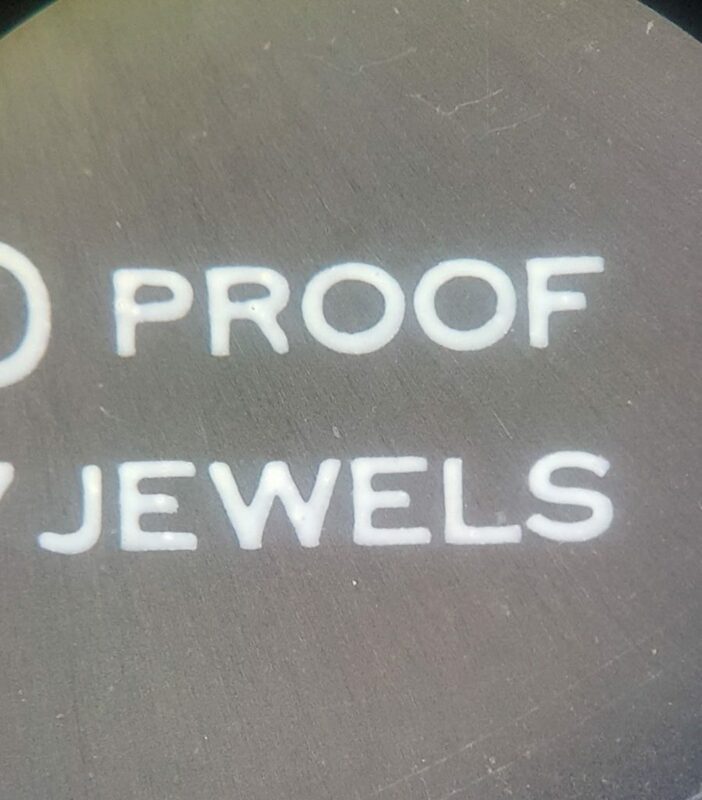 This is an important point that explains why this watch was only produced for two months, April and May 1965, thus explaining its rarity today. 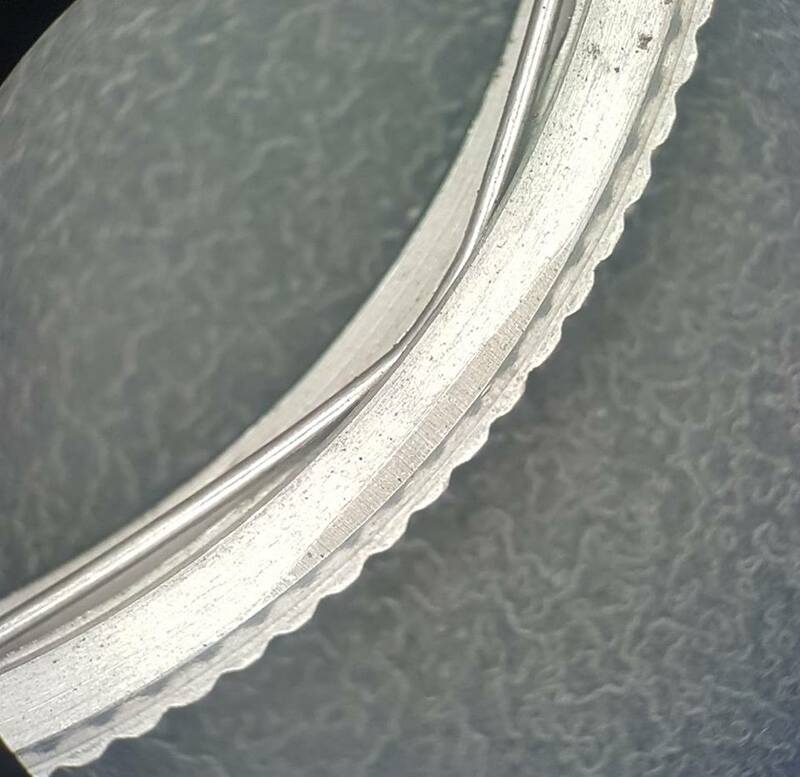 SCWF member RossR made a lot of research, referencing 300+ 62MAS found online (cf sources for his very interesting article) and estimated, based on the cases’ serial numbers, that about 12,300 Small Crowns were made out of a total of 84,400 62MAS. But as Gerald Donovan pointed out, it doesn’t seem like Seiko used specific serial numbers for each references they made and we can find other non-62MAS Suwa-made watches with serial numbers intertwined between 62MAS serial numbers, which shows the cases’ serial numbers can’t be used to make an estimation of how many 62MAS were made. 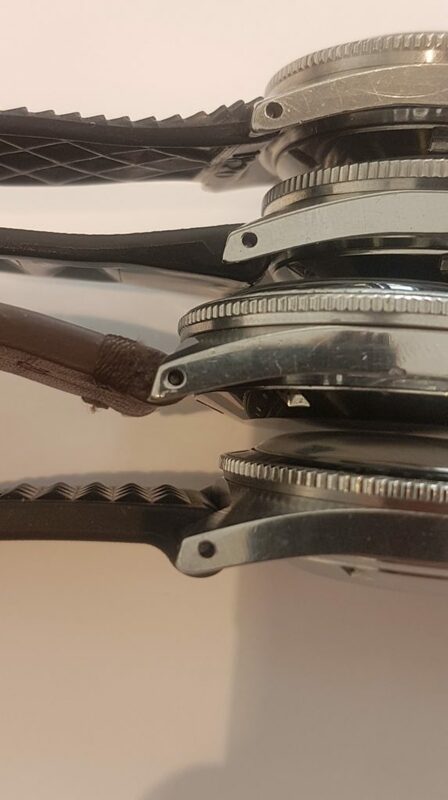 So we said that the smaller crown was the reason why the 6217-8000 was quickly replaced by the 6217-8001 «Big Crown», made to be easier to handle with gloves. Being a professionnal watch, the functionality of the watch is what prevails here ! We will come back to the specificities of each references later but first let’s focus on their common points. First, we quickly talked about it but all the 62MAS use the same 6217A movement. It’s an automatic movement beating at 18000bph, with the quickset date but without manual winding and hacking. 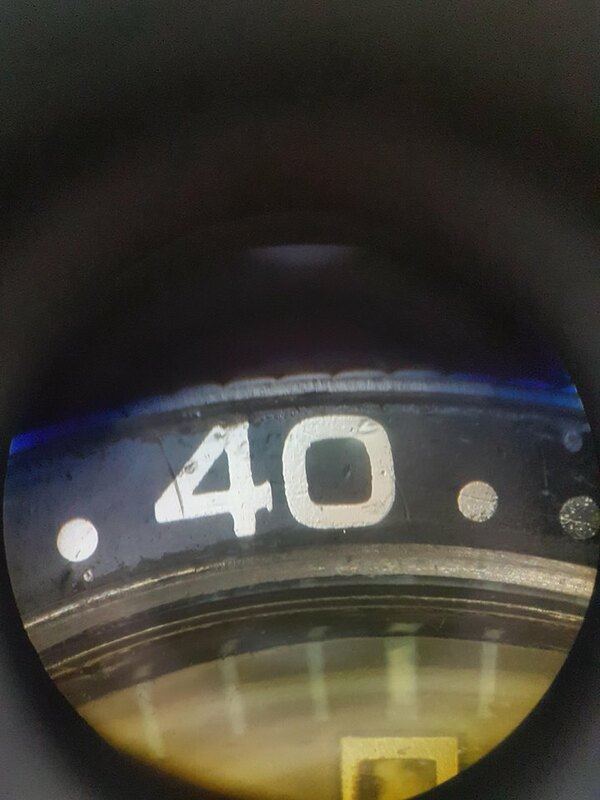 On the dial side, we can say that every 62MAS has the same dial, minus a few minor details we will adress later. Please give a closer look to the indexes as they are not rectangular but trapezoids ! Same goes for the crystal, hands and tropic strap found on every 62MAS (cf Anthony Kable’s article on the tropic strap in the sources). 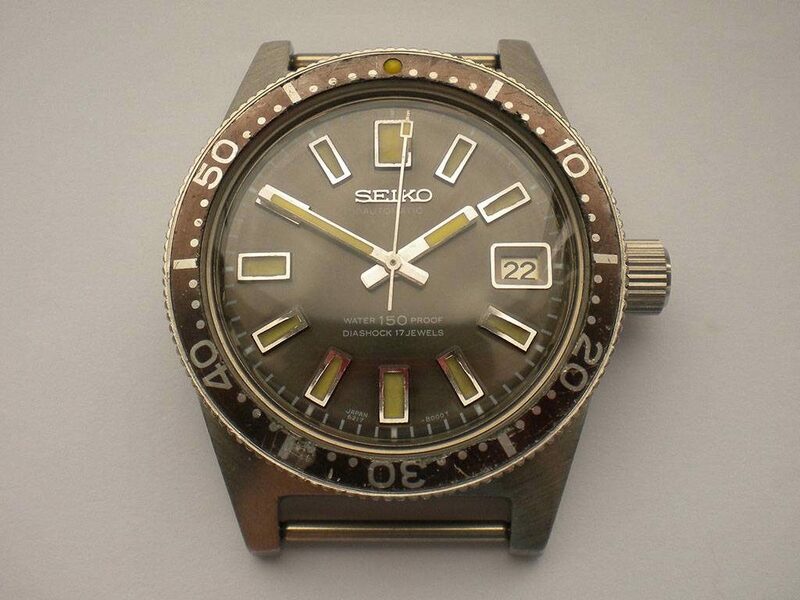 About the hands, it’s interesting to note that they are not specific to the 62MAS but can be found on several Seiko references like the famous 6105 but also the 7005-8052 «Poor man’s 62MAS» or the 6601-8830 Seahorse (among others). 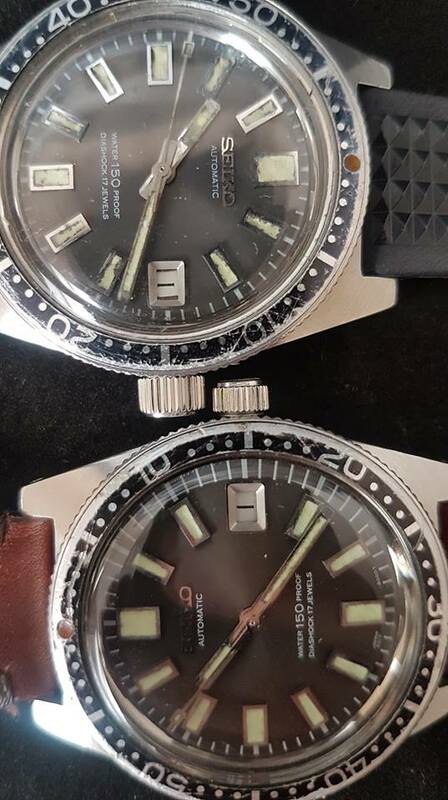 Every variation of the 62MAS had bi-rotating clickless bezel and non-screw down crowns, which explains why patina and oxydation are very common on these models. 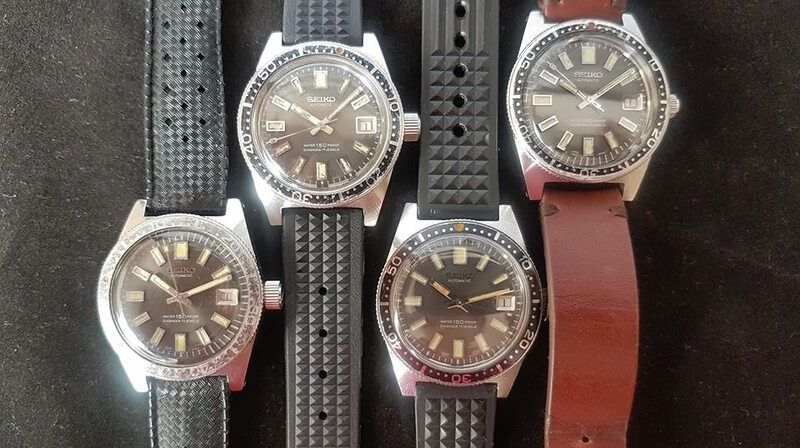 And finally, every 62MAS has a 37,5mm «Skin Diver» type case, with drilled lugs, circular graining on the top and the rest of the case polished. As mentionned before, the case offers a 150 meters waterproofness. 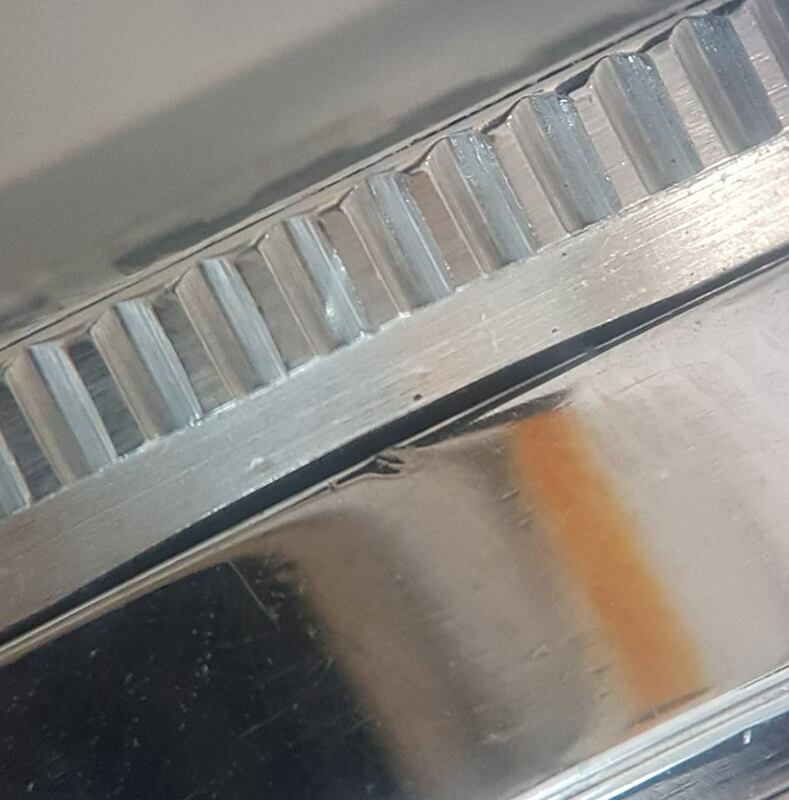 We would like to draw your attention to the fact that we saw a lot of irregularities in the height at which the lugs were drilled. 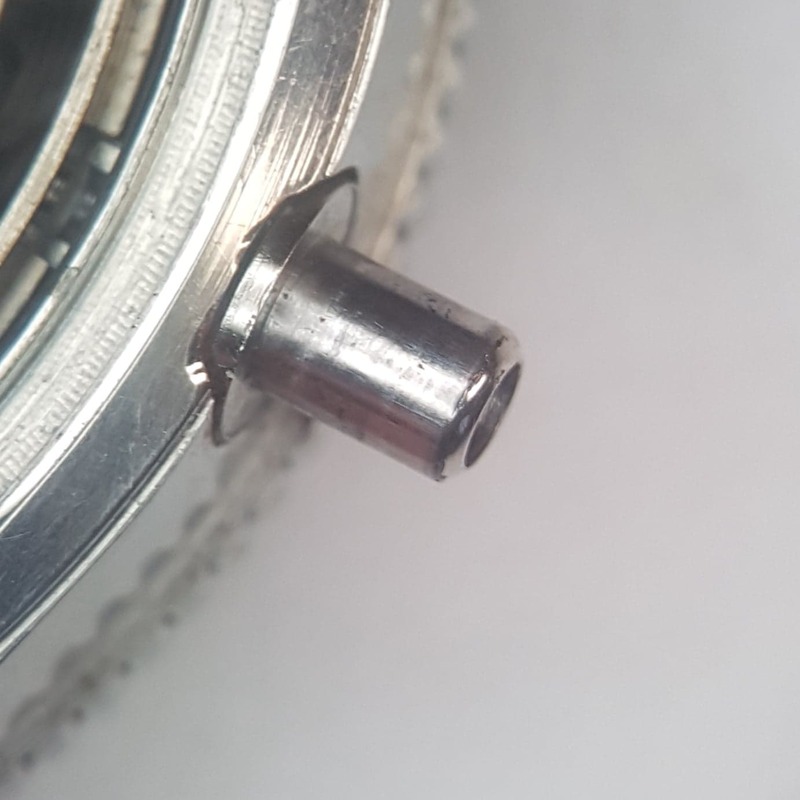 But the fact that a lot of 62MAS have been polished during their long lives, it’s hard to know for sure if this is due to random settings when drilling the lugs, the wear of the cases or both. So this is where the commun points between the 6217-8000 and 8001 stop and we will now get more into the specific details of each of these references. As we’ve seen before, the Small Crown was only produced for a short two months period, April and May 1965, for a total of about 12300 units, which represents a little bit less than 15% of the total 62MAS production. As its name suggests, this watch can be distinguished by its smaller crown but that is not all. 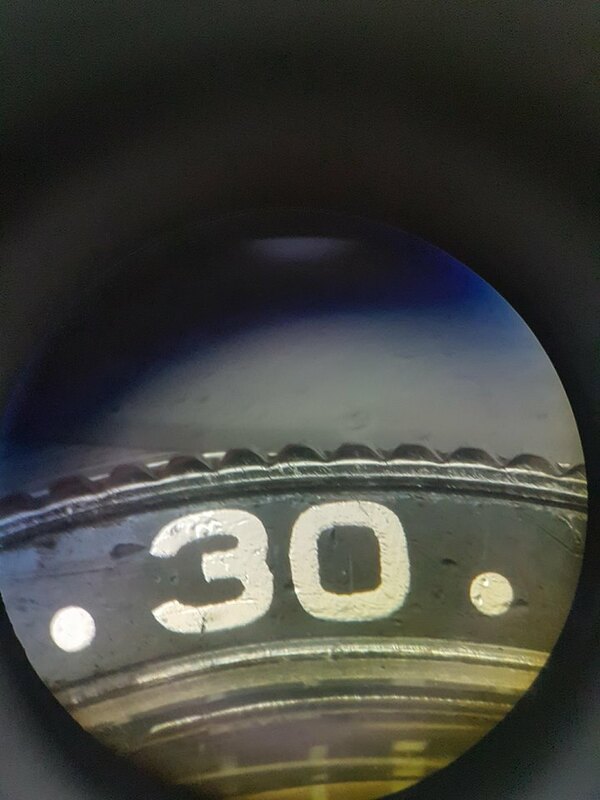 There seems to be a very slight difference in the dials found on the Small Crown and Big Crown. It appears that the Small Crown dials have wider holes to fix the SEIKO applied logo compared to the Big Crown dials. The painting of the text and minutes indexes also seem to be thicker and more qualitative on the 6217-8000 dials. 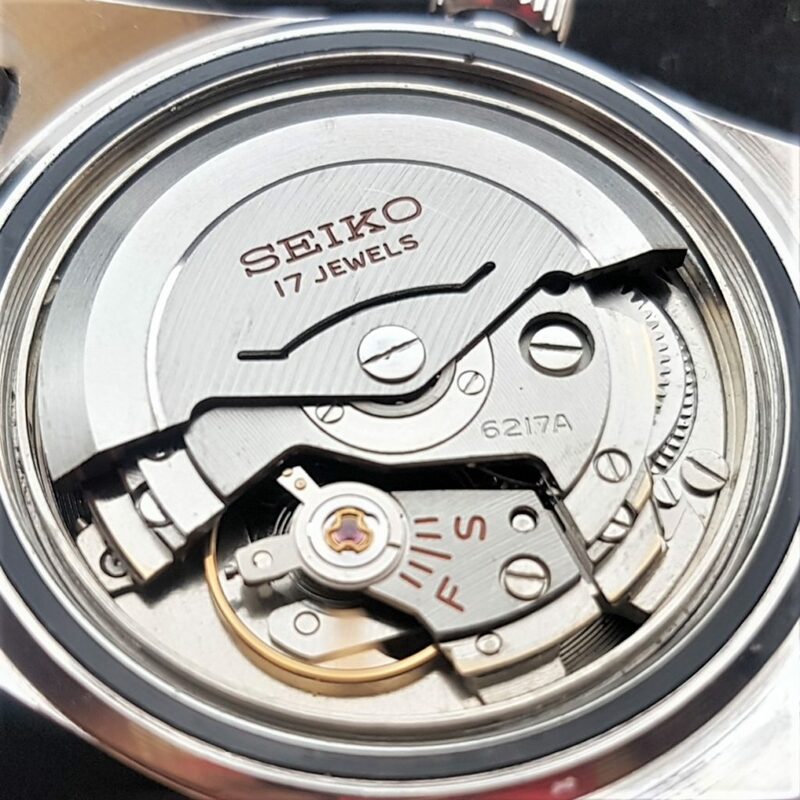 But the small bubble-like defects found on the Big Crown dials are very common on every Seiko we’ve seen from any series or period. 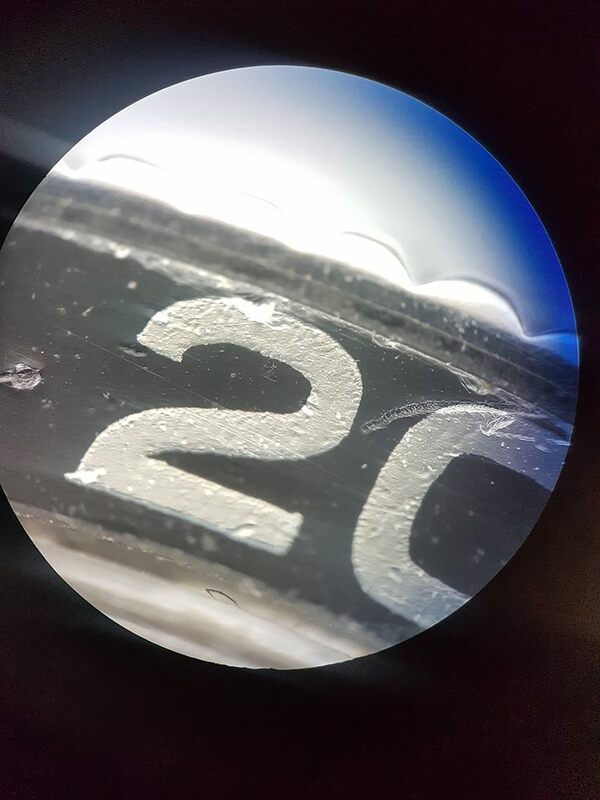 The base and crown tube of the Small Crown are different from the ones found on the Big Crown as we have here a smooth case, without any specific cut. And since a picture is worth a thousand word, here is the difference between an 8000 and 8001 cases. Two more picture that show clearly the size difference between the Small and Big Crown. 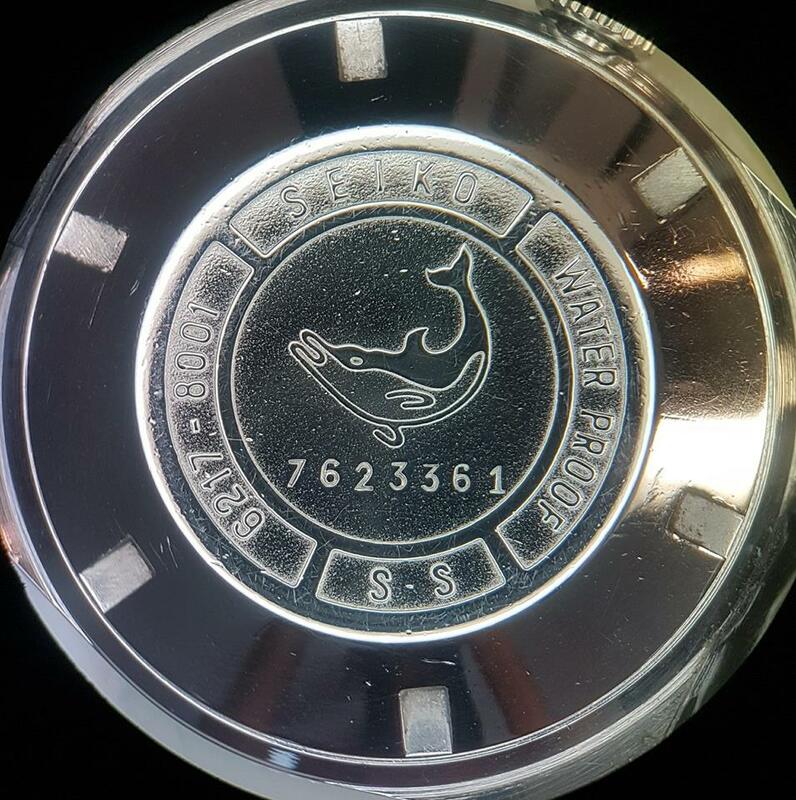 The Small Crown has only existed with a single caseback, decorated with an etched dolphin and informations relative to the watch. 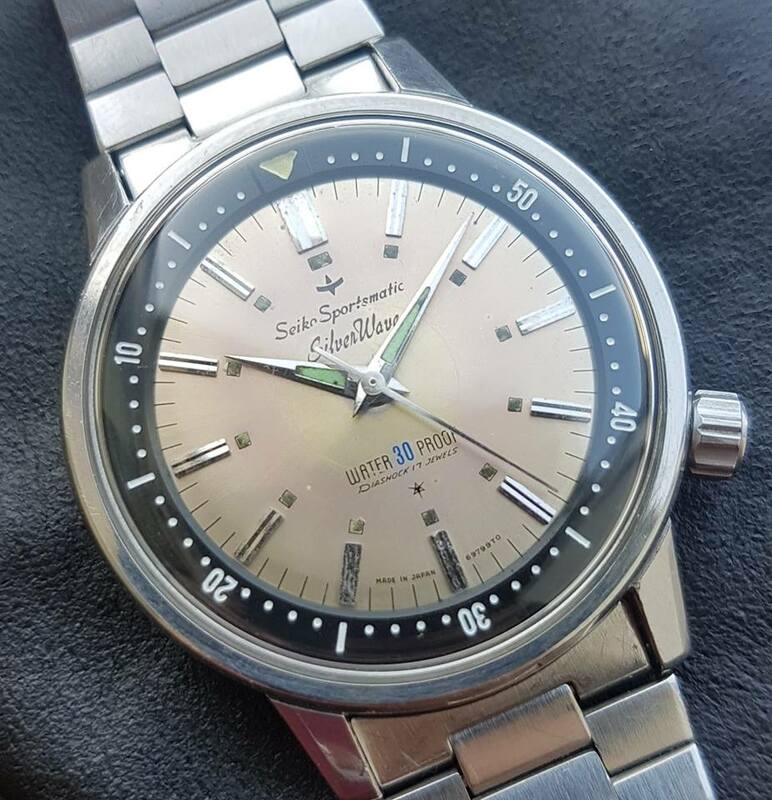 The dolphin was the symbol found on every waterproof Seikomatic since 1962. 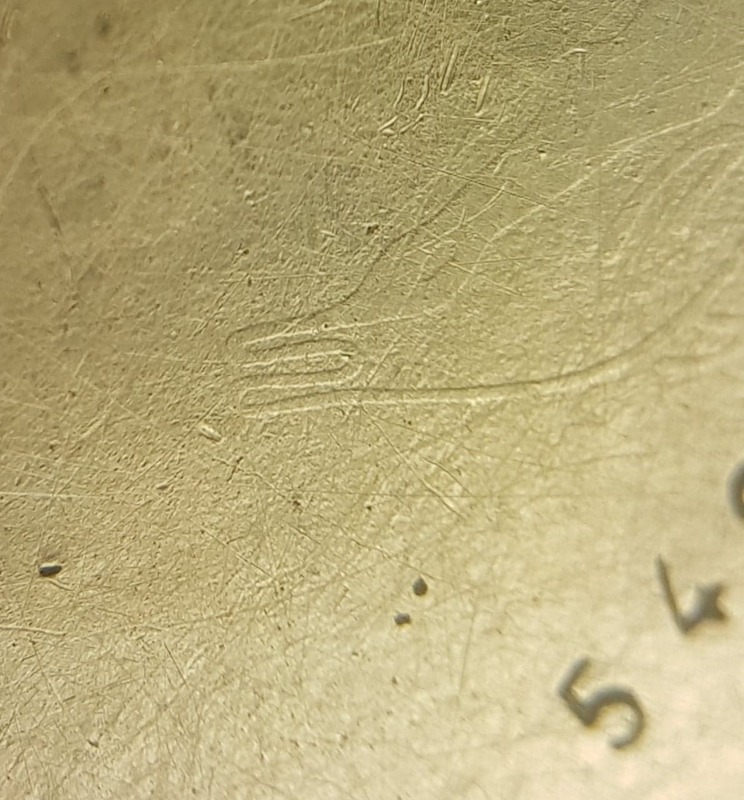 But the etching of those first generation dolphin casebacks was very light and most of them have been naturally polished by a few years of wearing. 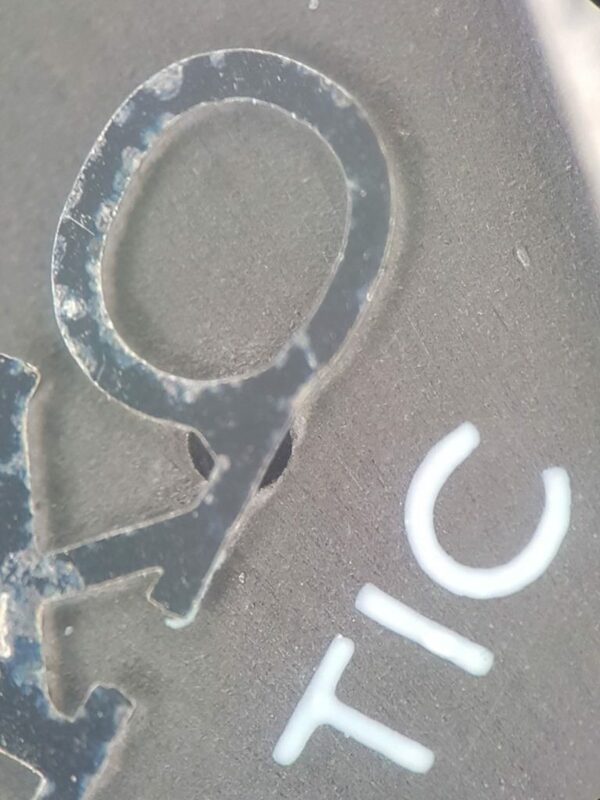 It’s very common to only be able to read the stamped serial number on the caseback. 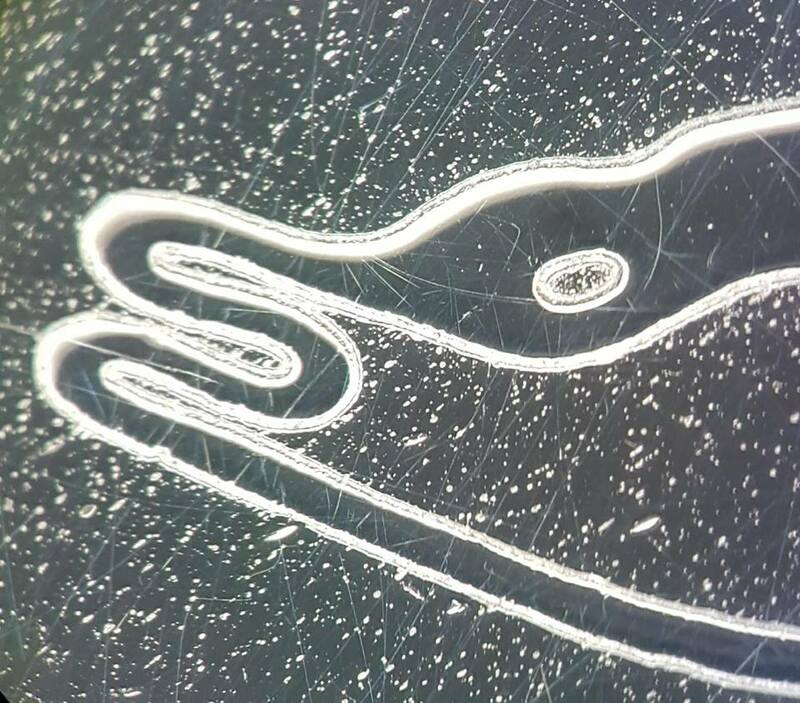 The etching technique was later changed for the Big Crown. Those are very hard to capture, this is the best we could do. Please pay extra attention to the dolphin design, specially to the rostrum and pectoral fins (thanks dolphin-academy.com for making me sound smart !!! ). First of all, the production of the Big Crown began in January 1966 and finished in June 1967. With that being said, we stumbled upon two different cases from October 1967 with serial numbers matching the patern of the 1967 production serial numbers. Let’s begin with the case. As we’ve seen with the Small Crown, the case of the Big Crown changes a little bit. The crown tube and sides of the case are modified to fit the new larger crown. We’ve already talked about it with the 6217-8000 but let’s see other views showing the differences between the small and big crowns. 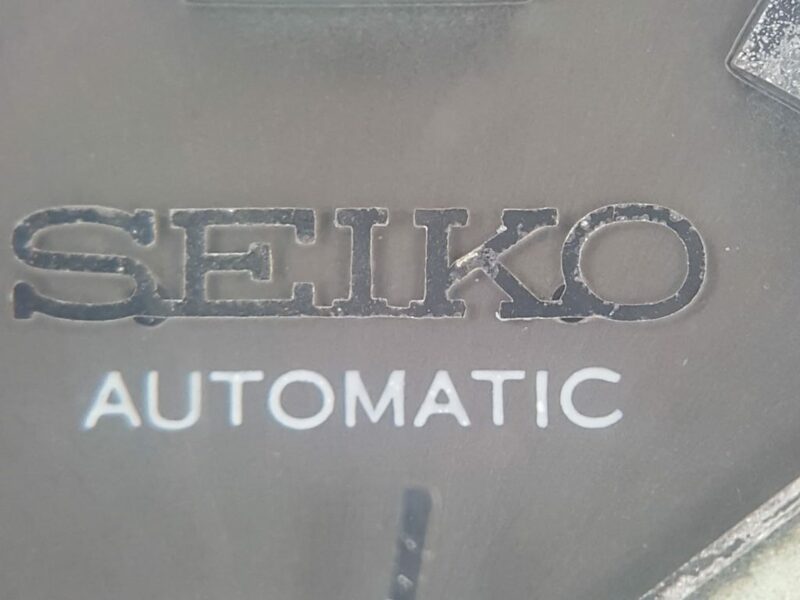 As we’ve seen with the Small Crown, it seems that the 6217-8001 dials have narrower holes for the fixation of the applied SEIKO logo and the overall quality of the dial’s paint job appears to be lower than the one on the Small Crown dials. 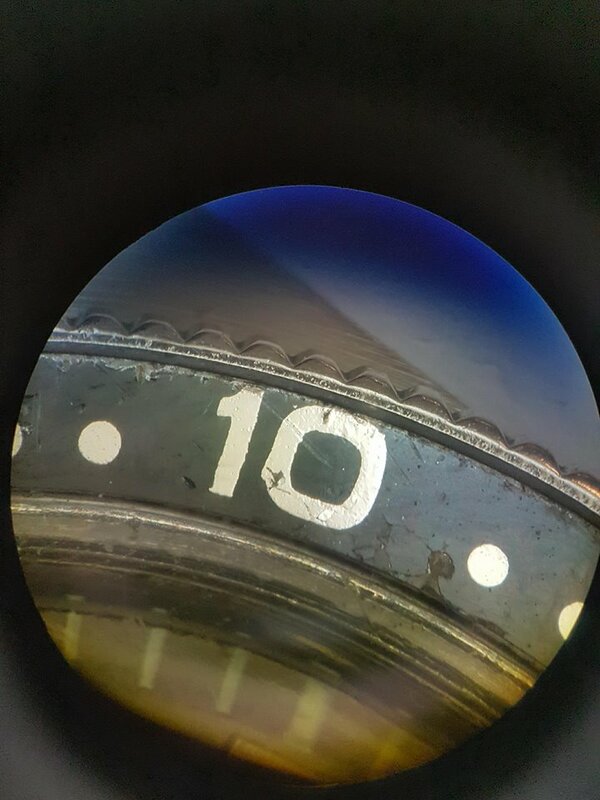 But the small amount of dials we’ve been able to look at with our Leica microscope (half a dozen at the time we are writting this article) doesn’t allow us to make any definitive statement. 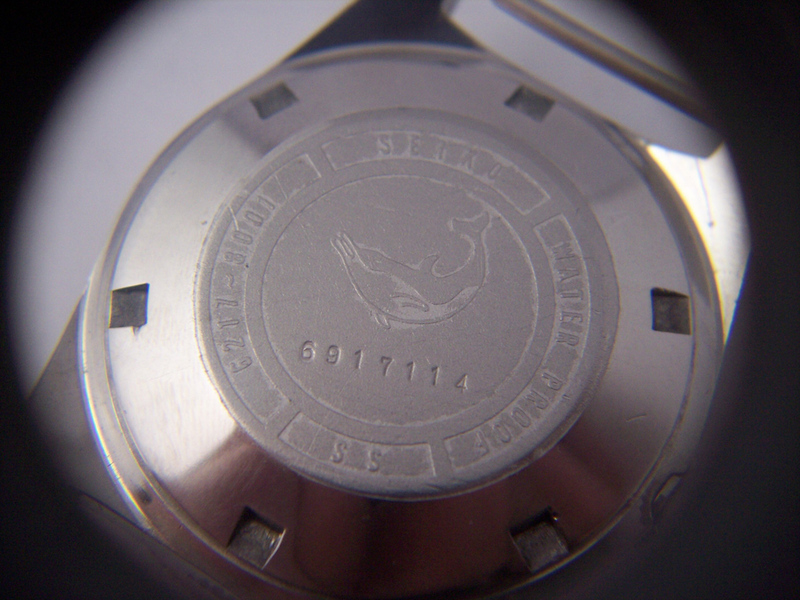 Starting in January 1966, every 62MAS comes equipped with a second generation dolphin caseback, with deeper etching. 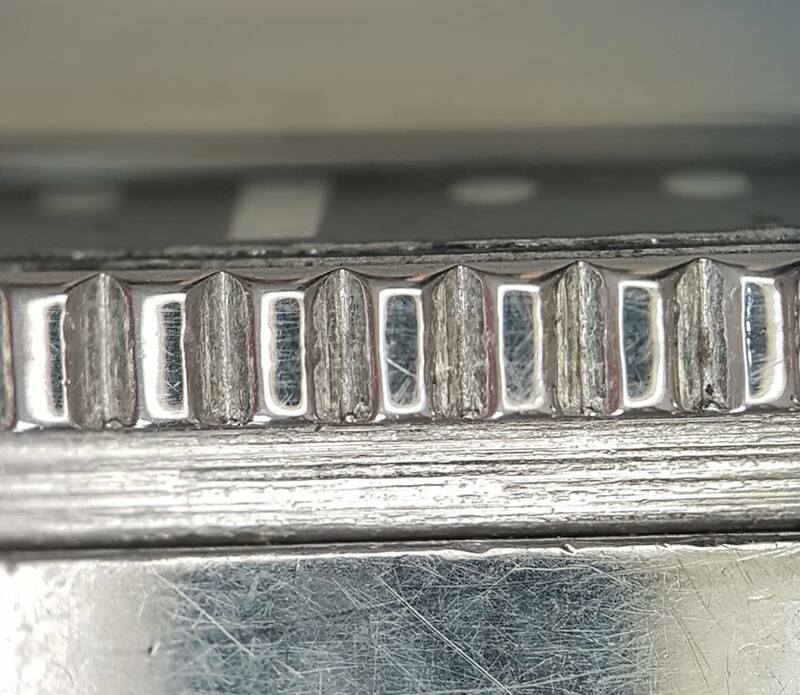 Please pay close attention to the length of the rostrum that changes quite a bit compared to what was found on the first generation dolphin casebacks of the Small Crown. 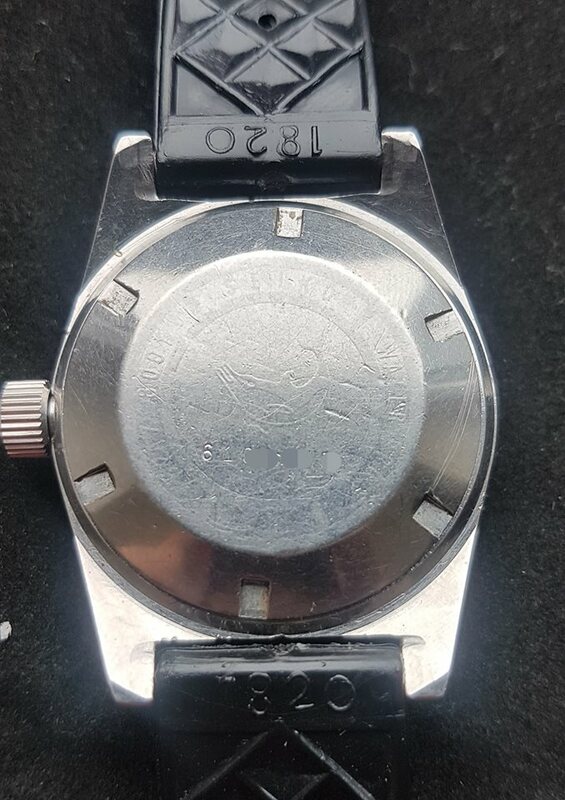 The last watch equipped with this caseback that we found while searching the archives of several watch forums has a serial number of January 1967 (serial number 7100198) which makes it one of the very last second generation dolphin caseback ever produced. 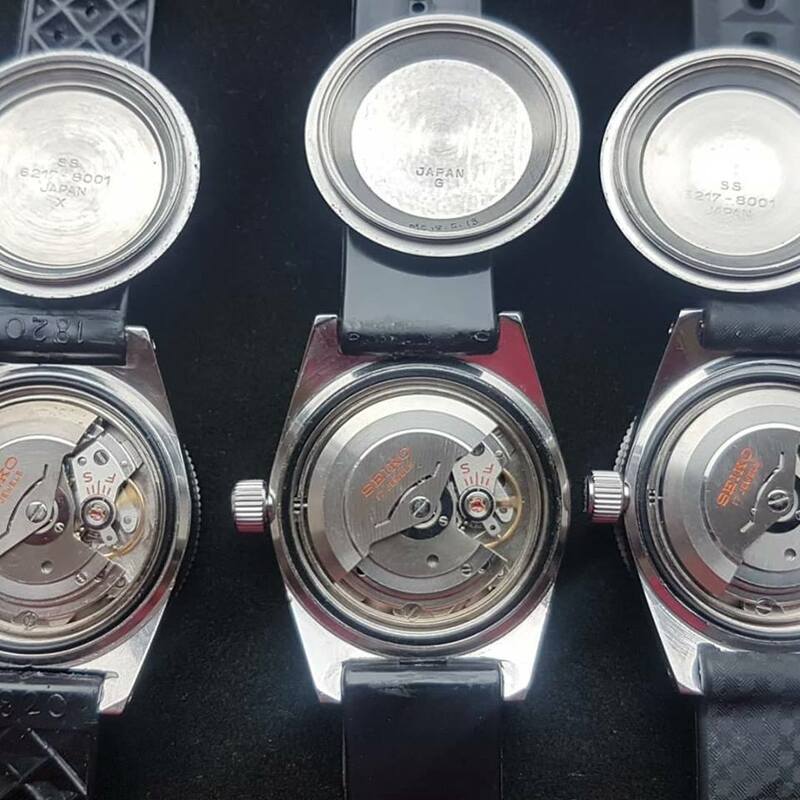 Starting in February 1967, we see a new and third type of dolphin caseback with a much deeper etching and a dolphin design that changes back to a shorter rostrum and rounder flippers, looking more like the first generation dolphin casebacks. 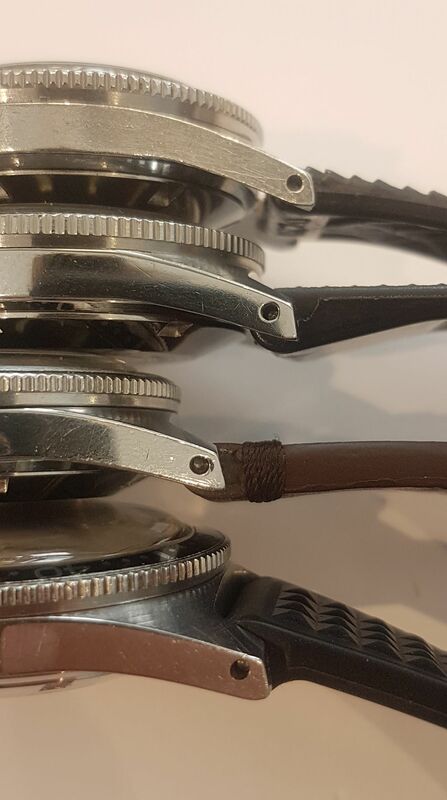 The first watch equipped with this caseback that we found while searching the archives of several watch forums has a serial number of 7200934, giving us a production month on February 1967. 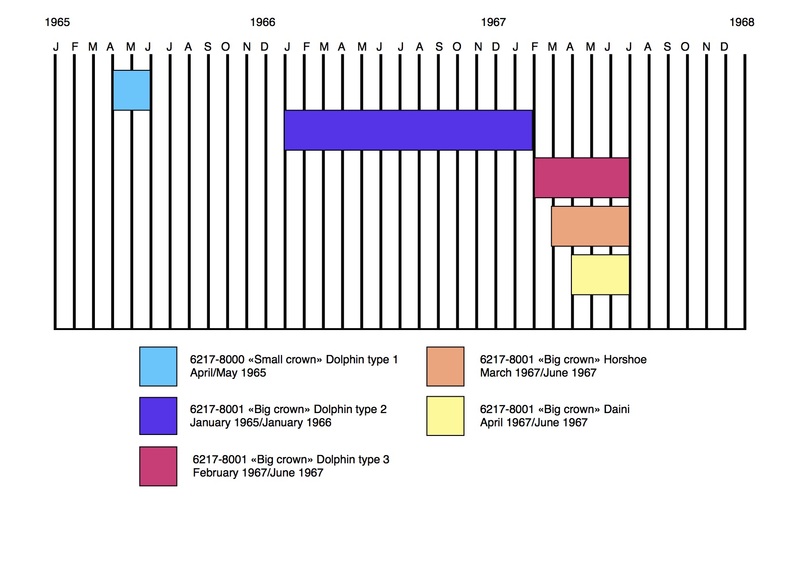 The change from the second to the third generation of dolphin caseback seems to happen somewhere between January and February 1967 as we haven’t found any counter-exemples (a gen2 caseback from February or a gen3 caseback from before February). 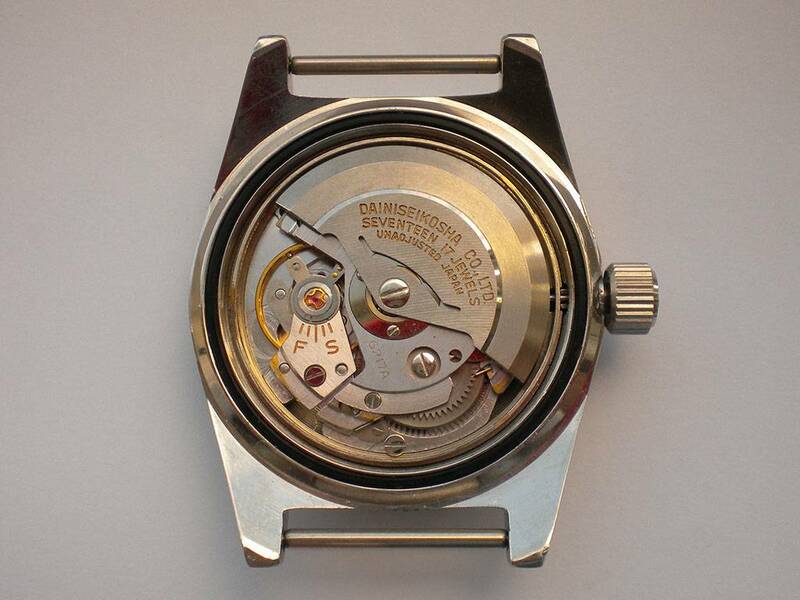 Starting in March 1967, we find a new type of caseback called «horshoe» caseback. 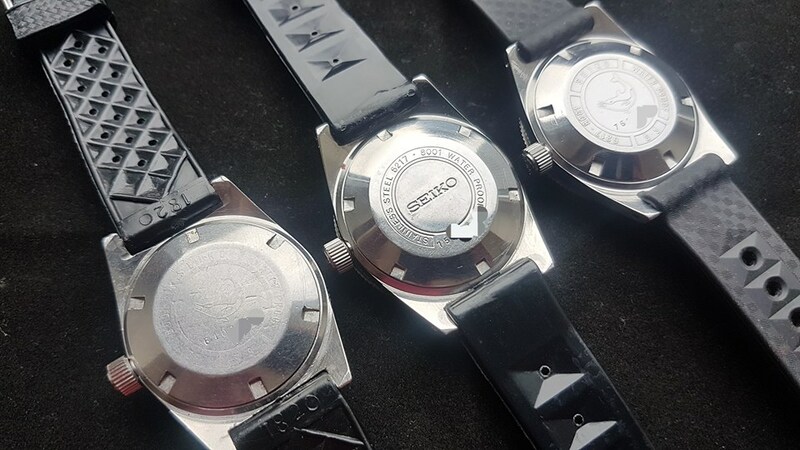 But it’s important to note that the production of both gen3 dolphin and horseshoe casebacks continued alongside until the end of the 62MAS production This caseback design became very popular with a lot of Seiko references at this point in time. It’s interesting to note that there’s been an exception with a horseshoe caseback dated in November 1966. We can’t talk about the 62MAS without talking about a special case. 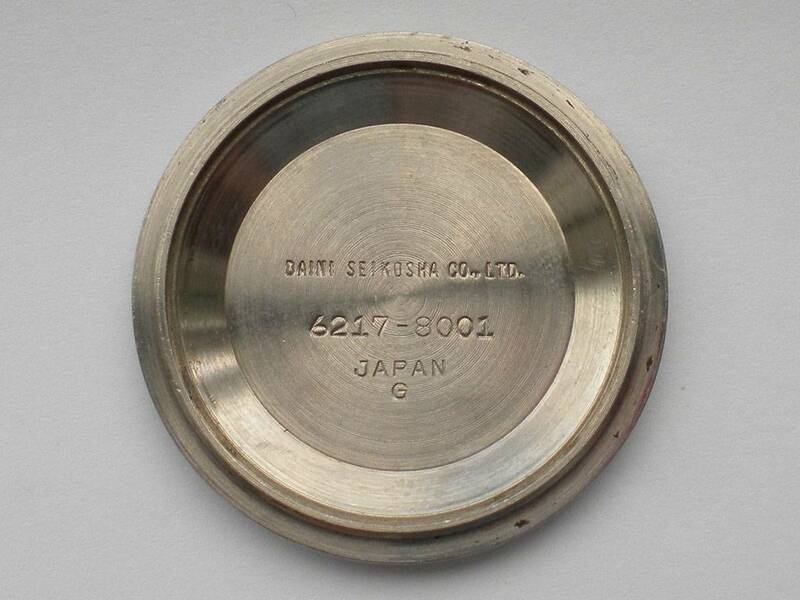 Starting in April 1962, Daini Seikosha started producing some 62MAS too. It has been hypothesized that the purpose of this partnership was to help Suwa meeting the demand while, at the same time, switching to the 6105 production. 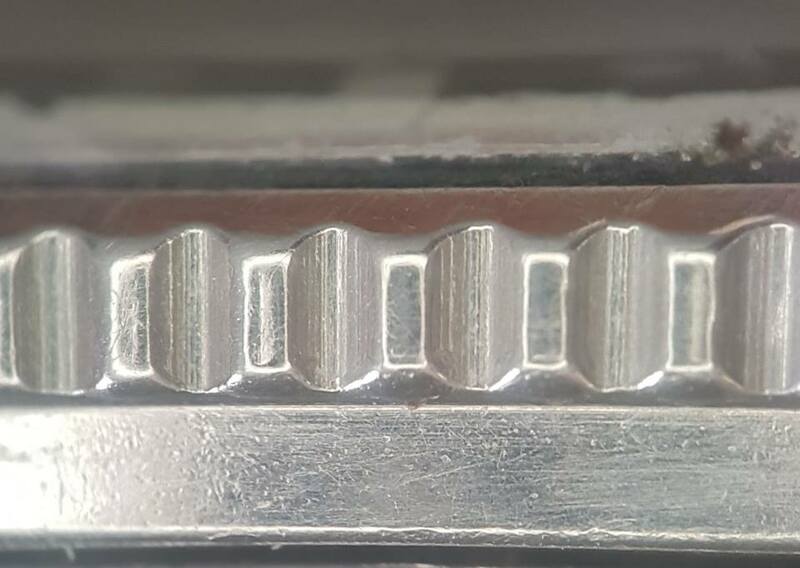 It seems like the 62MAS made by Daini are very homogenous, being produced only from April to June 1967, exclusively with horseshoe casebacks, DAINI SEIKOSHA engravings on the rotor and on the inside the caseback. The first peculiar thing about the Daini 62MAS is the lumibrite they used. Being of a different composition than the one used by Suwa, they both aged differently. Suwa’s lume would turn greenish, whereas Daini’s lume would turn creamy or ivory, almost brownish. It also seems like the Daini dials tend to get a more brownish patina compared to the Suwa dials that tend to remain in the shades of grey. According to RossR amazing research for his article on SCWF, statistics tend to show a theoretical production of about 1600 Daini 62MAS. Those are approximative numbers as they are drawn from the statistics made by RossR among the +300 watches referenced for his article, taking into account the proportion of Daini 62MAS found in those +300 watches. But as we said earlier, not knowing the total production numbers of the 62MAS, it’s very hard to tell how many Daini 62MAS were made. In any case, the Daini 62MAS is without a doubt the most collectible 62MAS out there, thanks to its rarity and gorgeous patina. 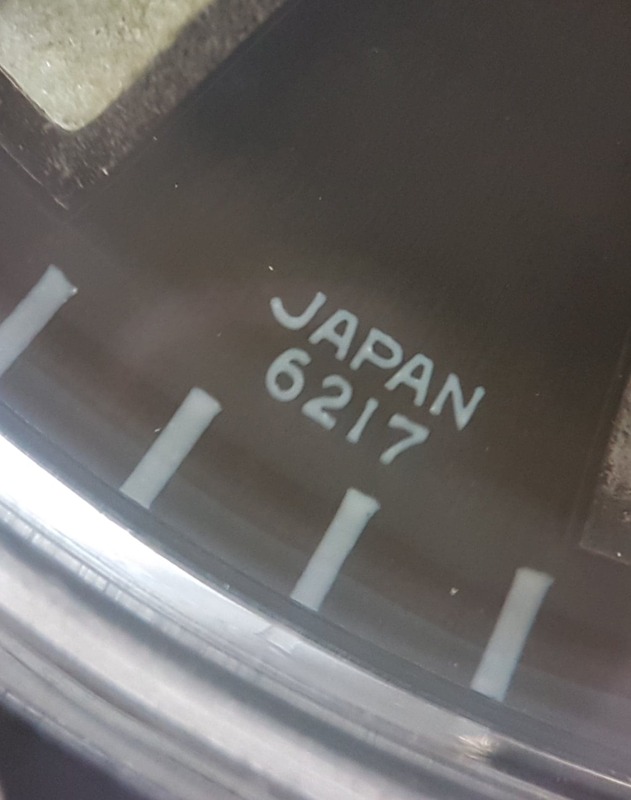 Even though we have seen a lot of common or diverging points between the 6217-8000 and 8001, there are still some points that need clarification, as always with vintage Seiko, but that’s part of the game, isn’t it? There are two points that make every documentation work with vintage Seiko difficult. First, it’s not uncommon that two different parts use the same reference number. 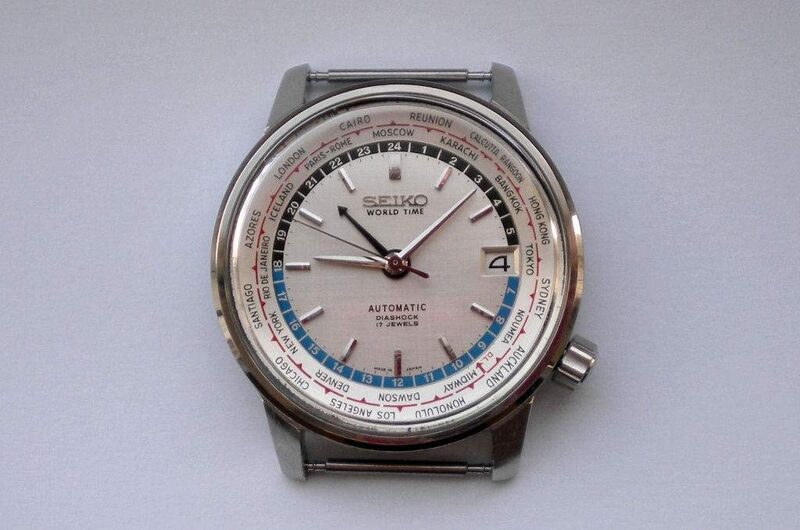 It’s the case for some crowns in vintage Grand Seiko for instance. 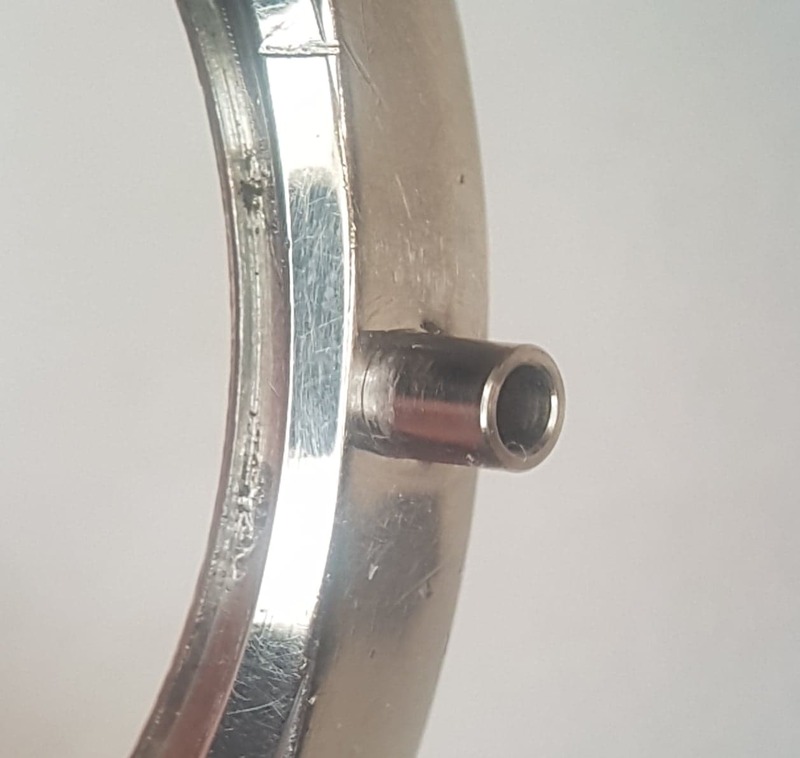 Secondly ,the lack of official informations forces collectors to take information from their observations, which can lead to some mistakes as it can be difficult from time to time to tell original parts from aftermarket ones, or even worst, original parts that belong on other references. So there are a few points on which we lack clear information to make any definitive claims and for which we will keep on working. The first point concerns the bezels found on the 62MAS. 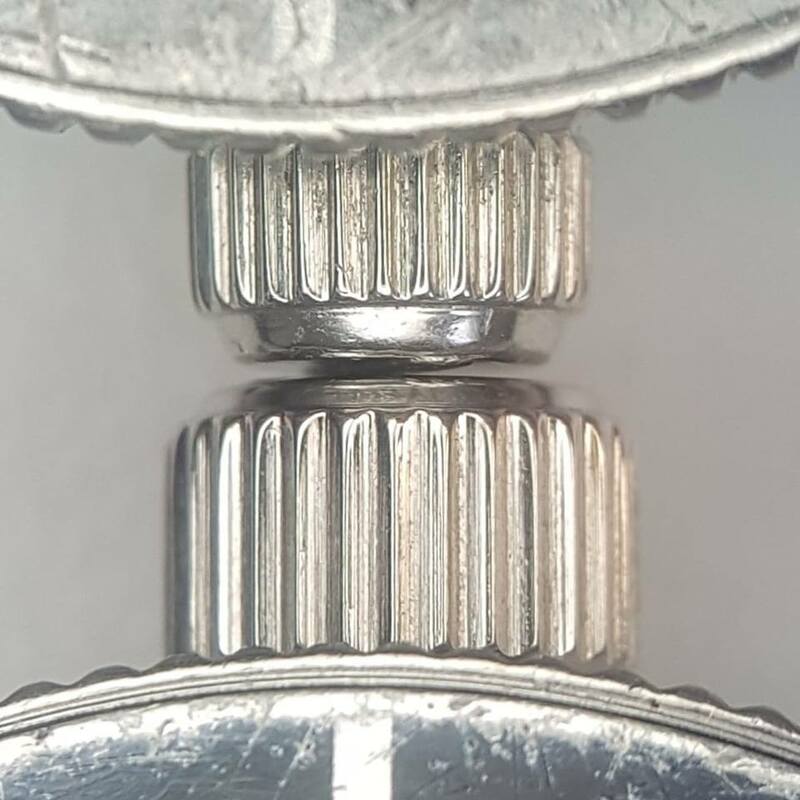 Duncan from The Watch Bloke explains in one of his blog articles explains that he has seen at least three different coin edges with different heights. Se we wanted to take some measurements on the four 62MAS we currently have in stock at the time we are writting this article. So we pulled out the adequate tool (the «bevel-meter» or something like that, no idea what it’s called in engilsh, sorry folks). 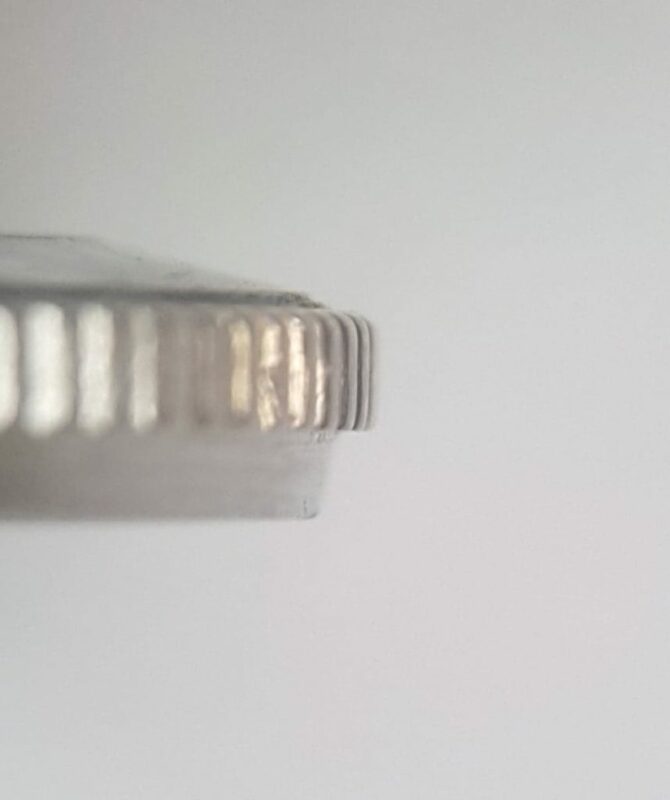 On a Small Crown from April 1965, we can see a bevel on the upper side of the notches, which are 1,5mm high. 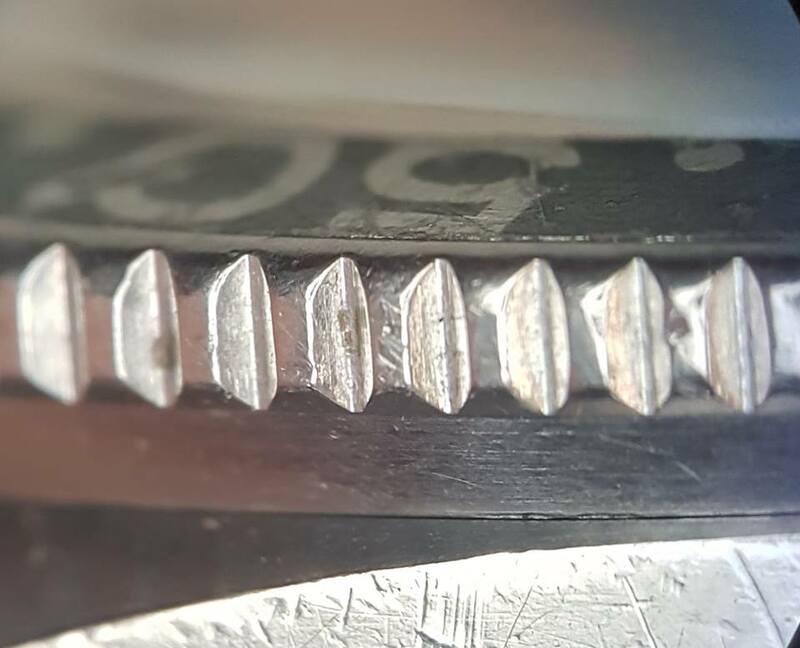 On a Big Crown from January 1966, we can see a bevel on the upper and lower sides of the nitches, which are 1,63mm high. On a Big Crown from May 1967, no bevels and 1,63mm high notches. On a Big Crown from June 1967, a bevel on the upper side of the notches, which are 1,35mm. There is one more difference between the Small Crown bezel and the other Big Crown bezels. 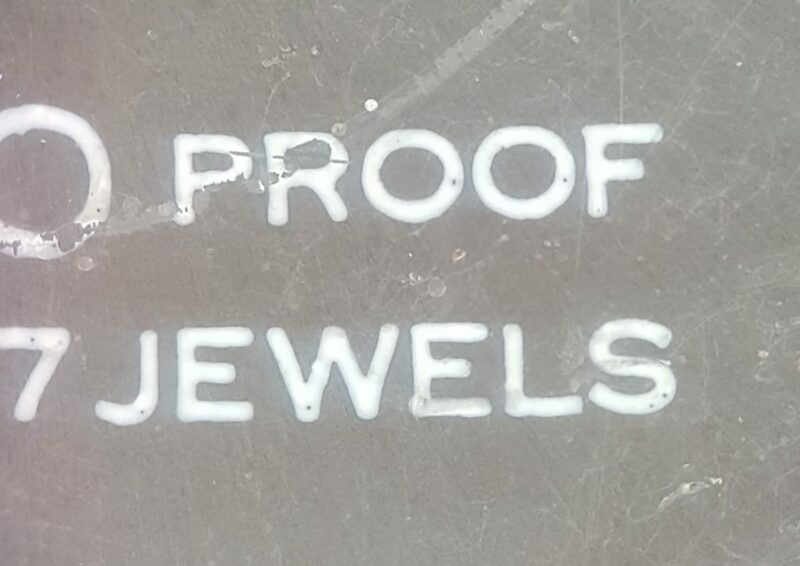 The footing/base of the Small Crown bezel is slanted whereas it is straight on the ones found on the big crowns. 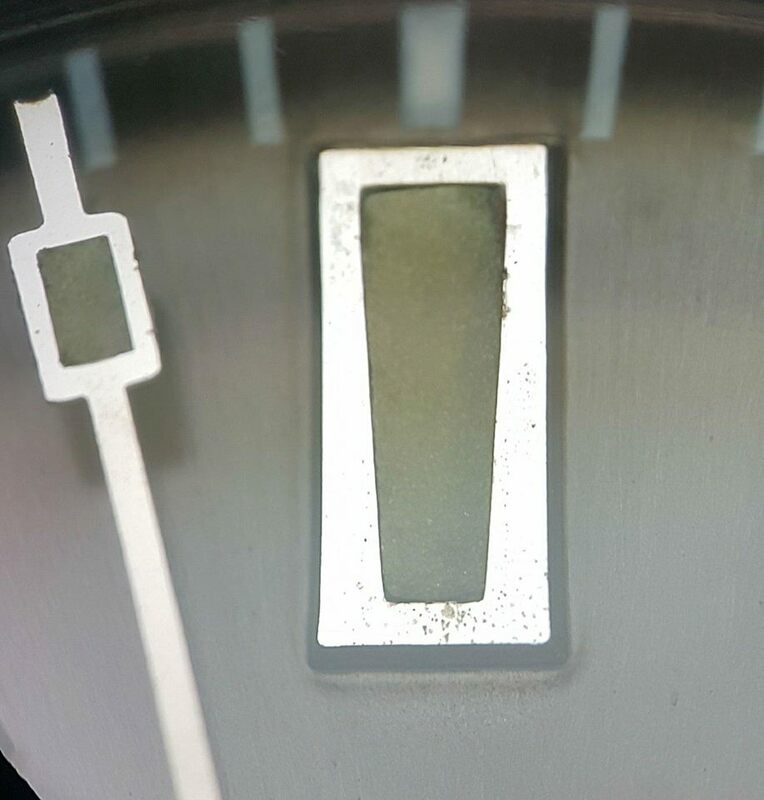 Even though the fact we only got to check that on a single Small Crown is definitely not enough to make any definitive claim, it’s absolutely plausible that the 6217-8000 bezels are different from the ones found on the 8001, just like the cases and dials. 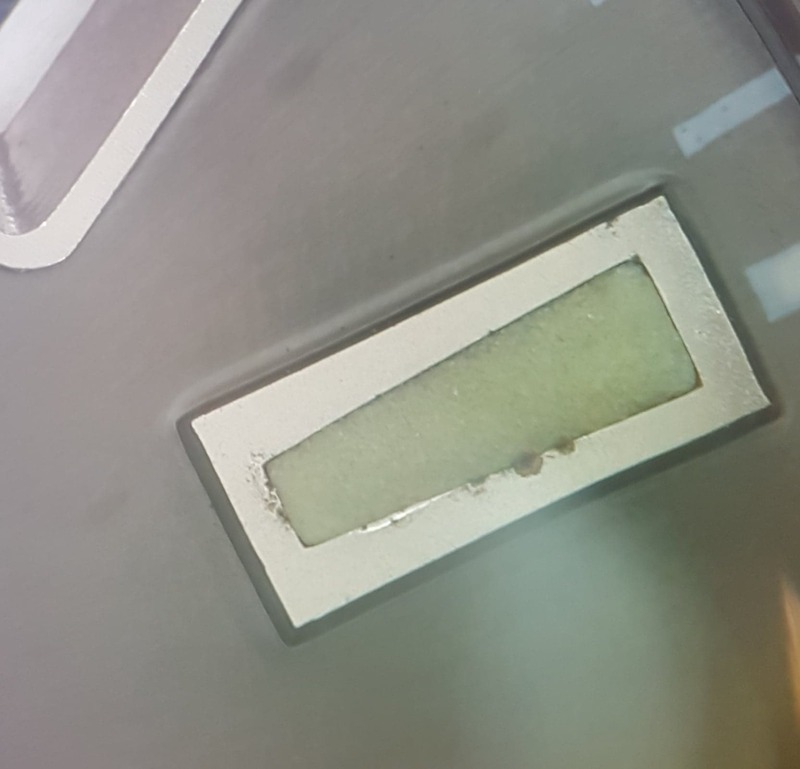 Given the information we have so far, it would be tempting to think that each one of those bezels are unique but they actually share two caracteristics that let us think they are actually all original: when you flip the bezel over, you can see their undersides are perfectly identical, and they also all have a small notch to slide a tool in it to take off the bezel. 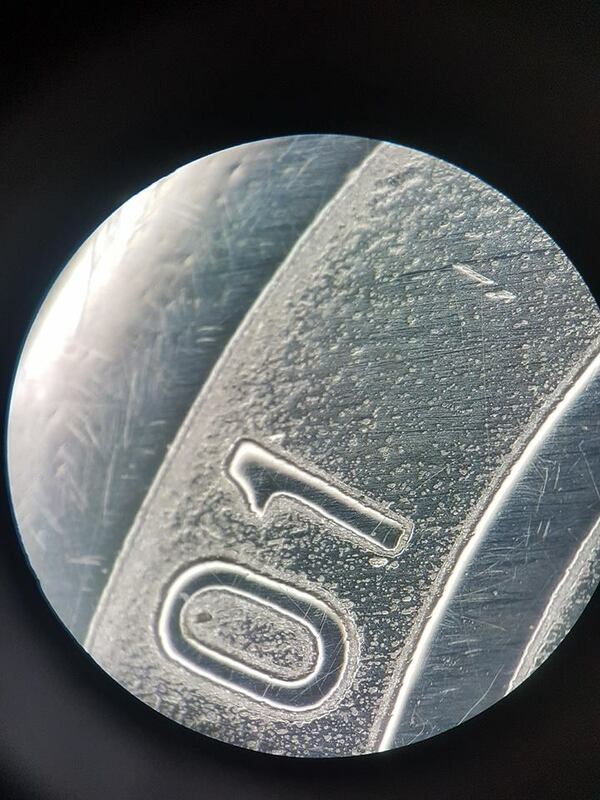 Those minute details revealed under the microscope are way to small to believe those parts are not original. Even though their shapes are closely related, we can already see several different shapes of notches, depending on the presence or not of the bevels on the upper or lower sides of the notches. 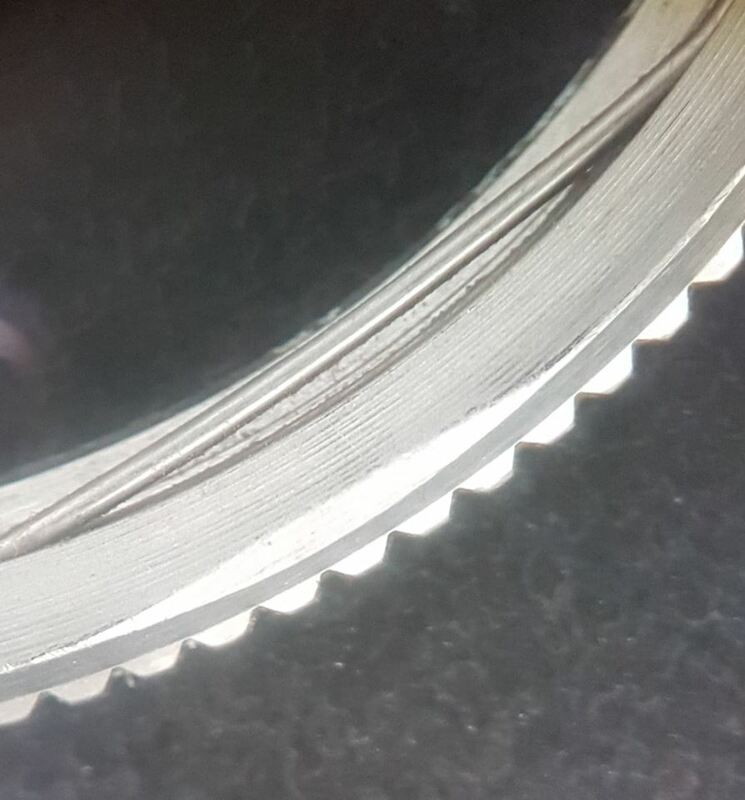 With that being said, the wear induced by the frequent manipulation of the bezel can be the cause of some of the differences seen here, specially fur the upper side bevels. 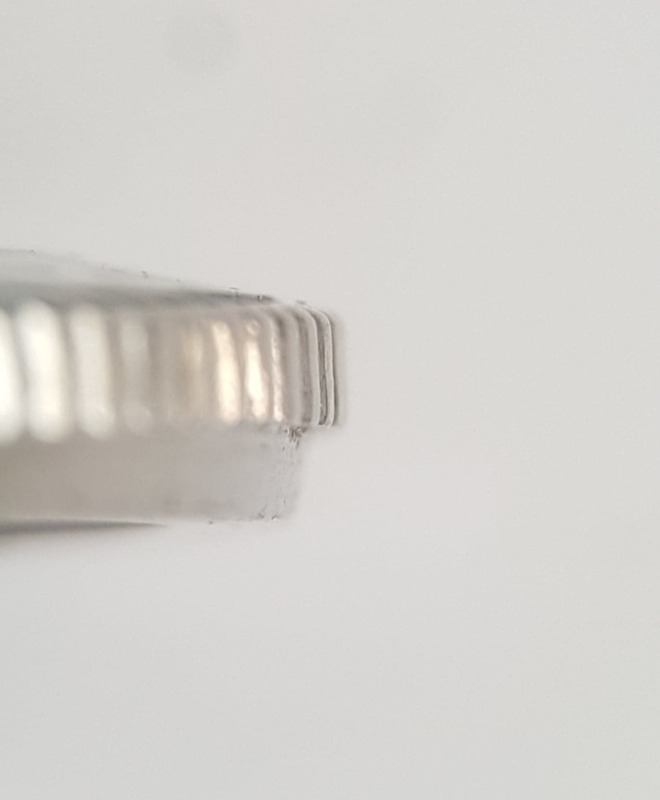 Furthermore, it seems our measurements confirm what Duncan (The Watch Bloke) said about the three different heights of the coin edge, with the smaller ones at about 1,35mm, the medium ones at about 1,5mm and the bigger ones at about 1,63mm. And just like Duncan said, it doesn’t seem to be period related or linked with the 8000 or 8001 cases form what we can tell now. 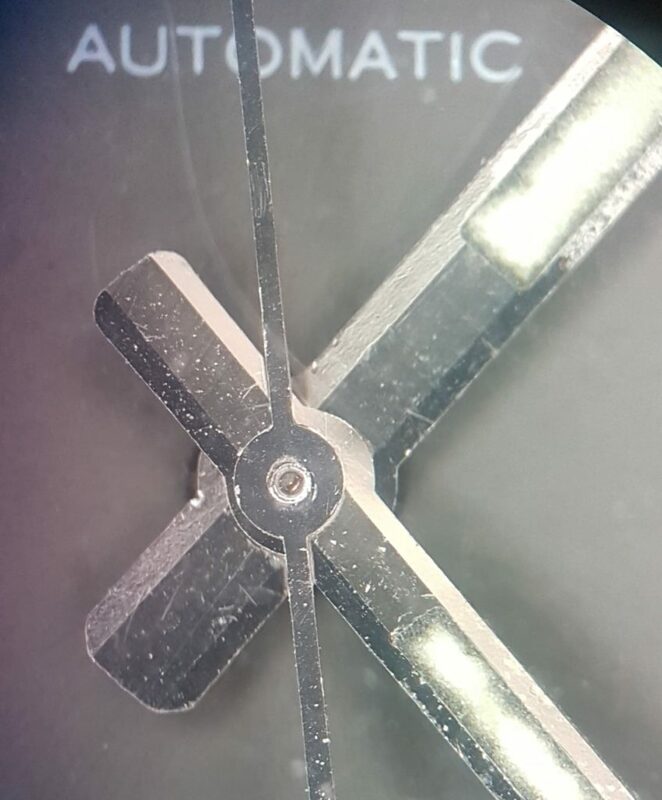 Thanks to Anthony Kable’s article about the caseback informations, we know the letter at the end of the stamping (X or G here) indicate where the cases are made, but I’m afraid we won’t be able to have more information on that matter (where exactly? Who knows?). 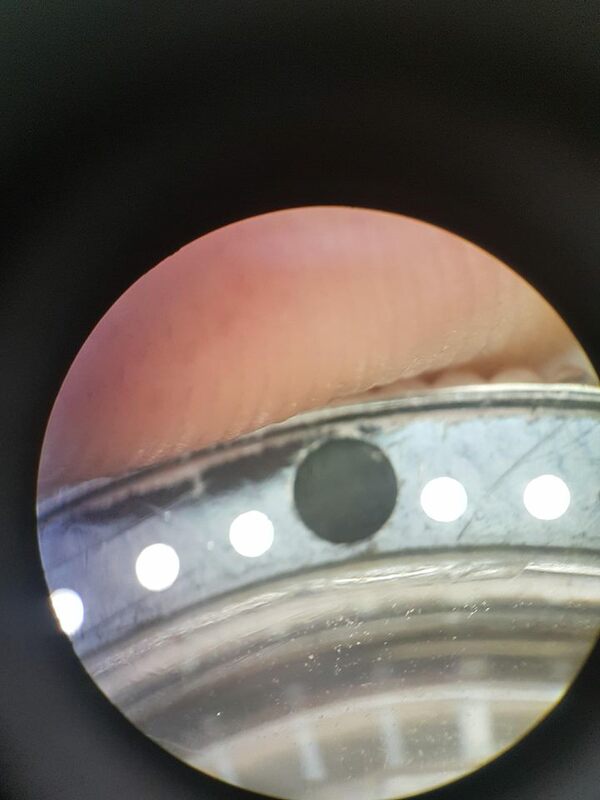 But this is enough to make the hypothesis that the disparities found on the bezels might be linked to the different plants where the case were made. 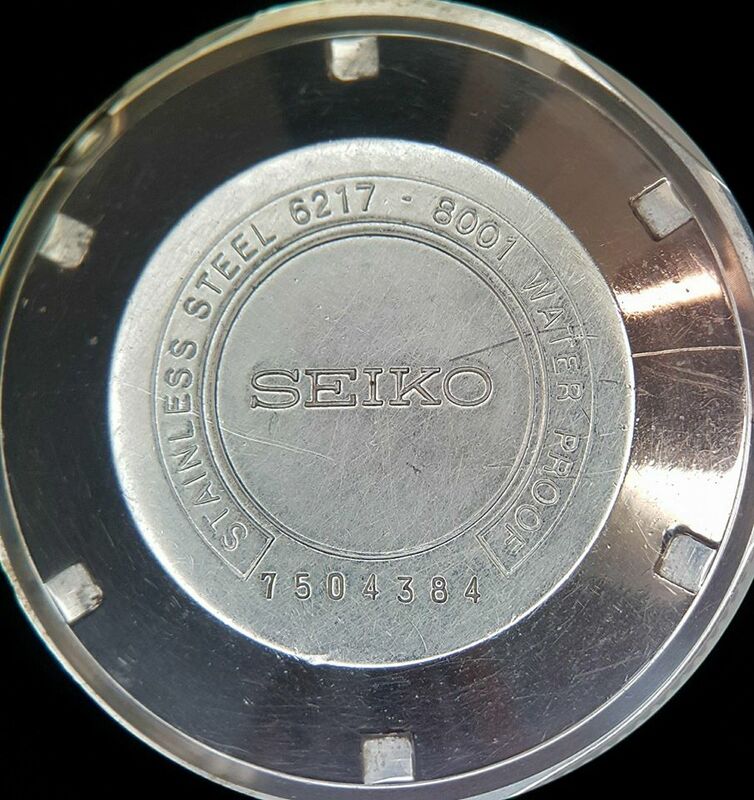 To sum it up, we can suppose that the footing/base of the 6217-8000 bezel are slanted where the 6217-8001 are straight, and there has been at least 3 different kinds of bezels for the 6217-8001, maybe linked to where the cases were made. The Daini 62MAS cases were made at the same «G plant» than some cases found on the regular 62MAS. Finally, the second mysterious point that could use some lights concerns the bezel inserts. 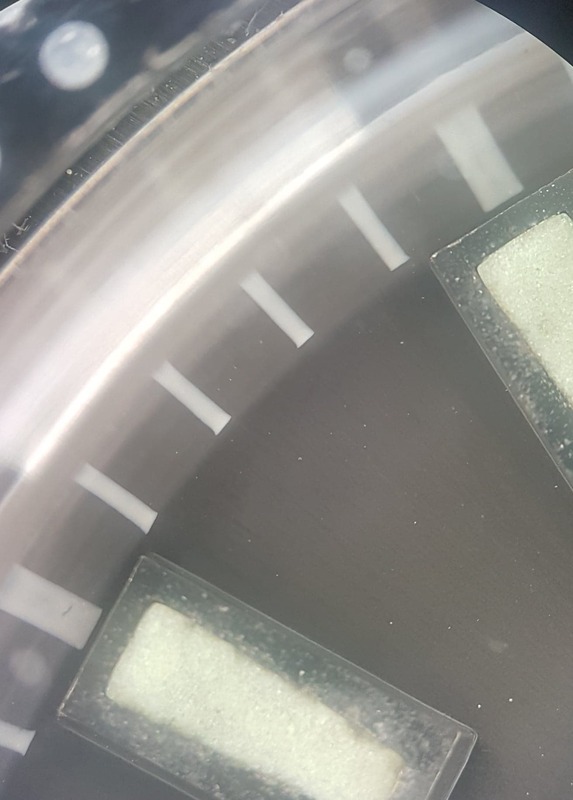 It seems that there’s been at least two kinds of inserts, the ones with a small lume pip and the ones with a bigger lume pip. 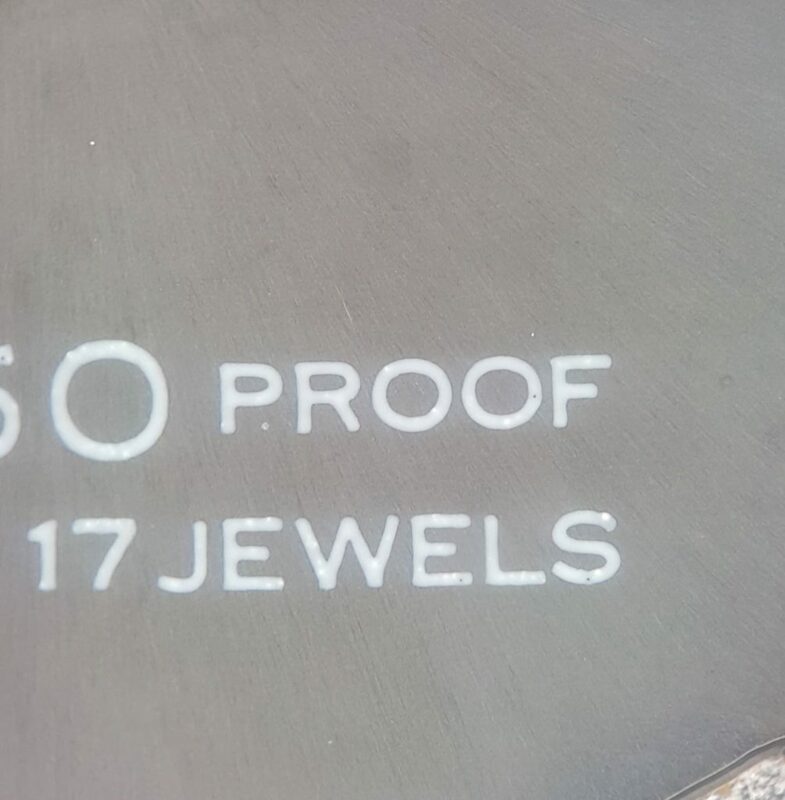 The problems are that first, there is no official sources about their use for either the 8000 or 8001 cases, and secondly, the observation of the watches we have in stock as we are writting this article seems to show there are other kinds of inserts with a bolder font. 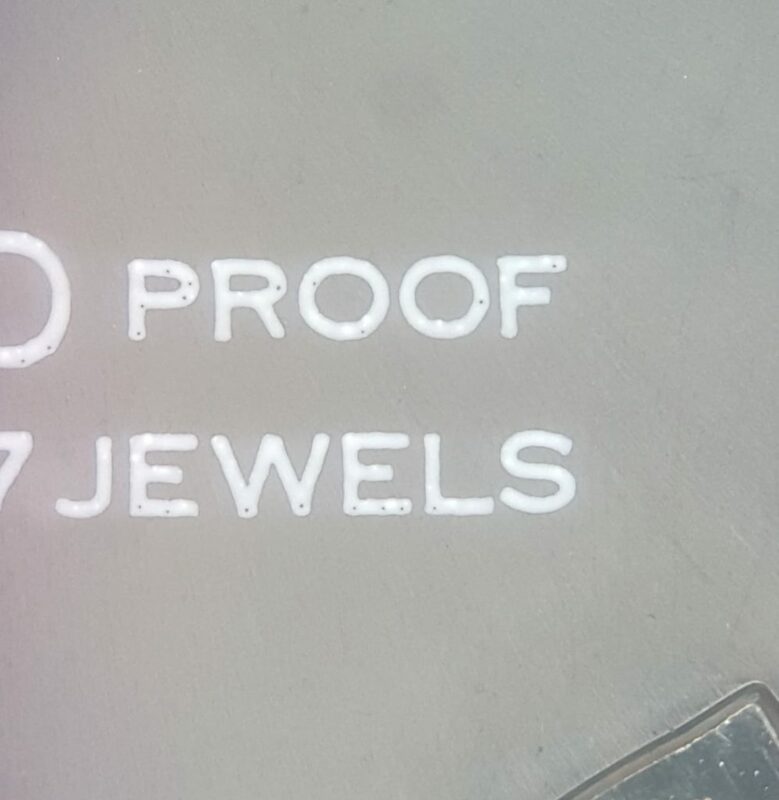 The quality of the silver paint used and the fact that the numbers have seriffs let us believe those iserts are original, without even mentionning their patina. 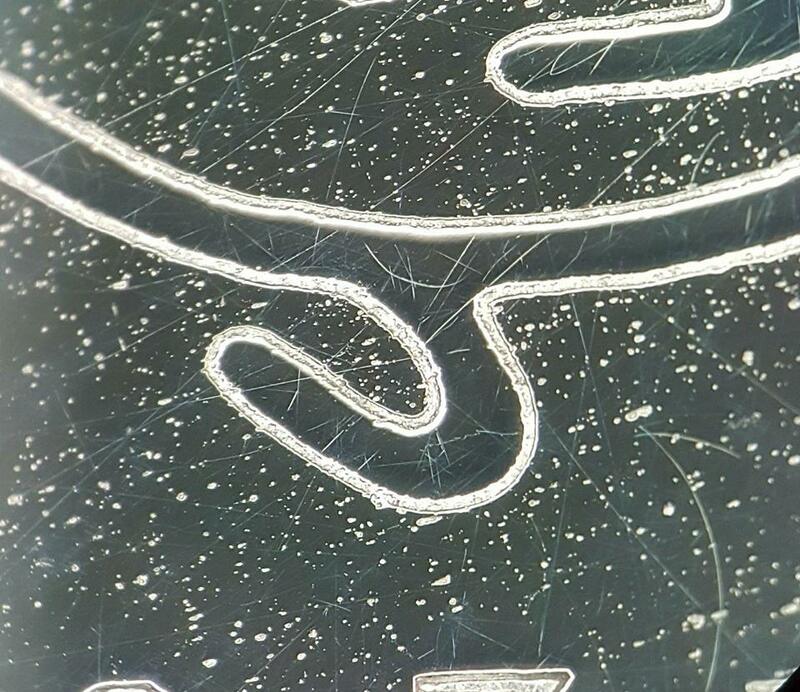 Could this be defects in the painting process? Other kind of inserts? 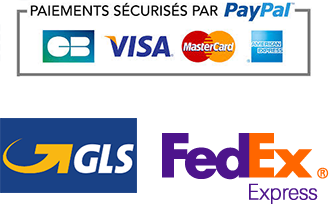 Service parts? For now, we can’t know for sure. 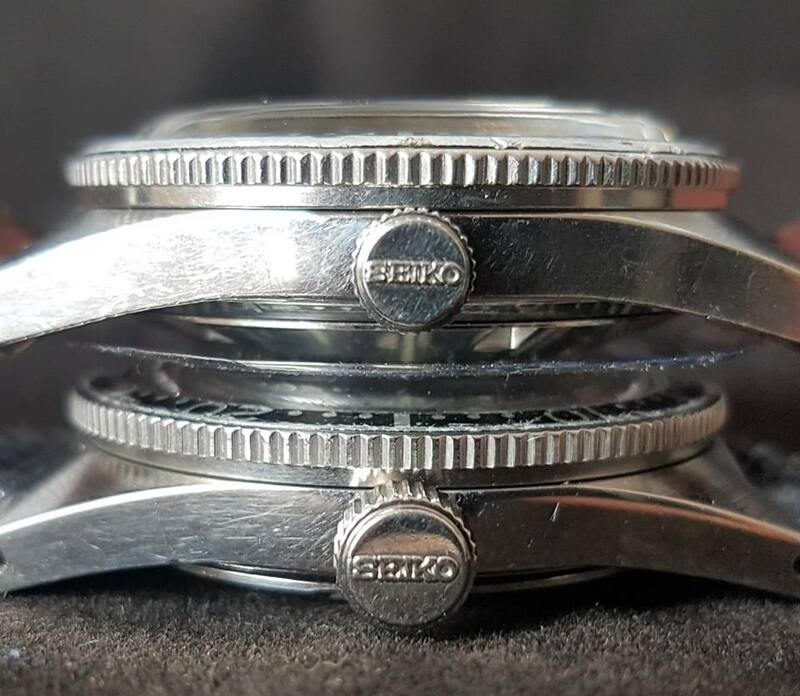 Even though it might seem frustrating from the get go, I think those quirks are part of what makes collecting vintage Seiko so interesting. And they are also part of what keeps the watch idiot savents we are talking, discussing and debating ! 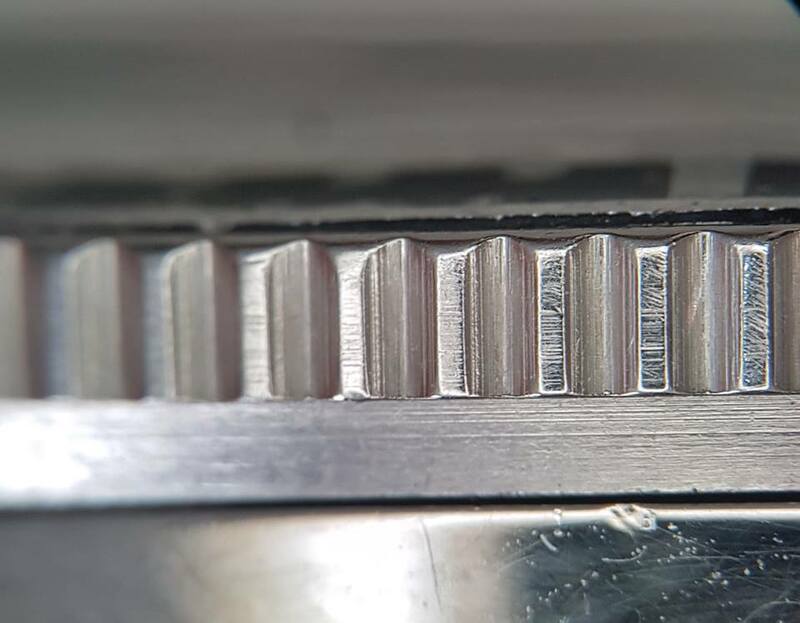 For a watch so simple in appearance, we’ve actually seen there‘s a lot of details and minor changes that are as many tells of wether a watch is original or not. 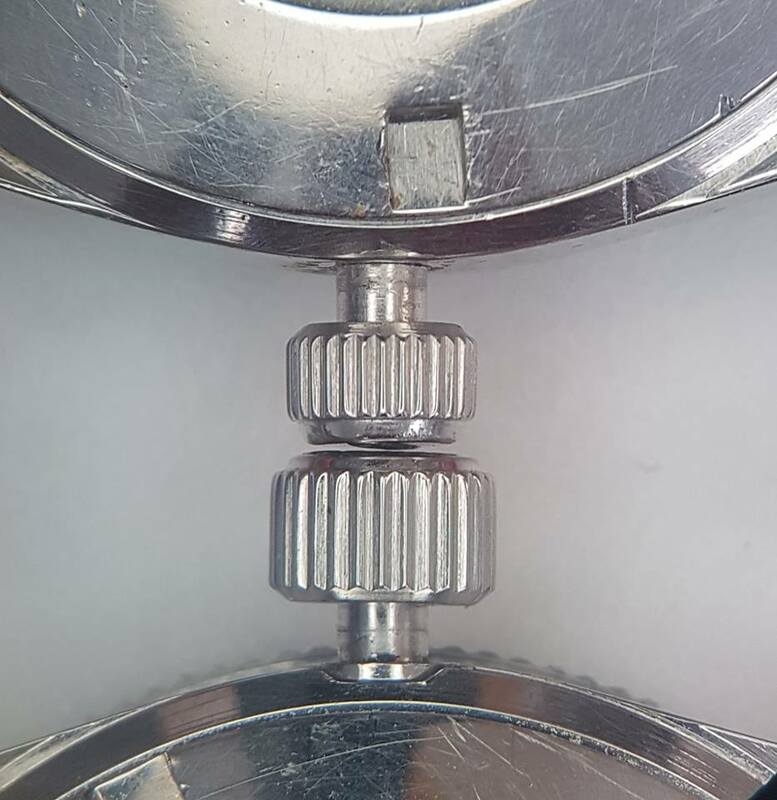 There are at least three different kinds of bezels for the Big Crown (with straight footing) according to their coin edge notches, potentially due to where the cases were made. 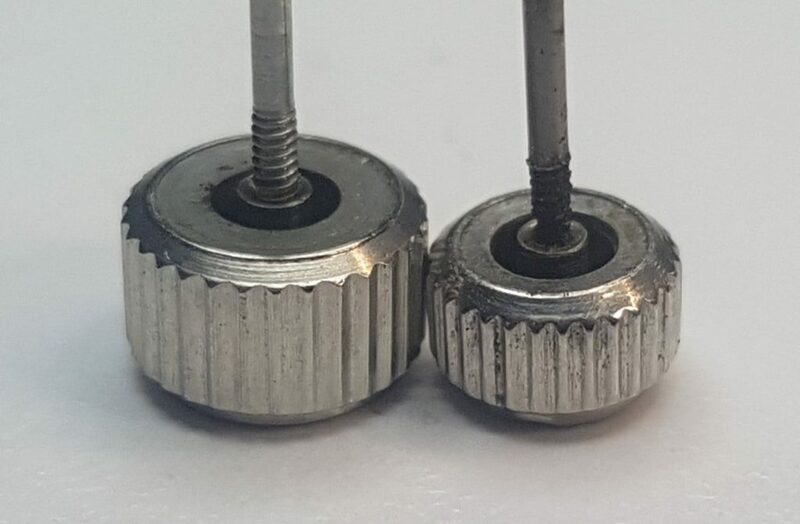 What are the different original inserts that were used for the Small Crown and the Big Crown? Are they specific to the 8000 and 8001 cases? 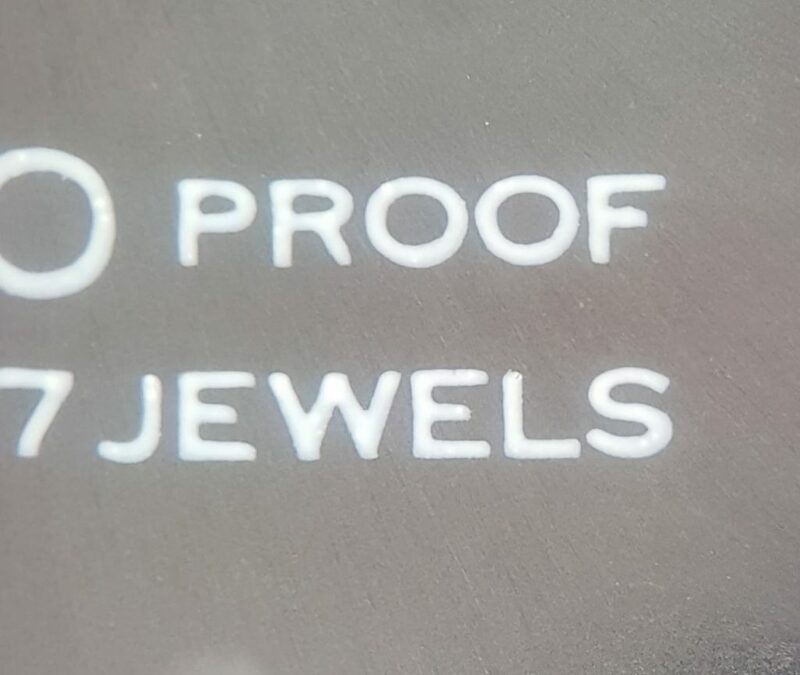 Why are there so many different styles of coin edges for the bezels? Is this due to the manufacturing plant where the cases are made? Is there a way to make a classification of the cases and matching bezels? Where were the cases stamped with the X and G (or their absence) made? Is there a link between the plant where the cases are made and when the cases were made? As we have seen, dispite the success and popularity of the 62MAS, there are actually quite a few things we don’t know yet for sure (or at all !! ) or don’t fully understand for now. Still, we did our best to centralize all the information available at the moment and make some research on our own to try and have a better understanding of the legendary watch that is the 62MAS. But most importantly, we hope this article made you love the 62MAS a little bit more !